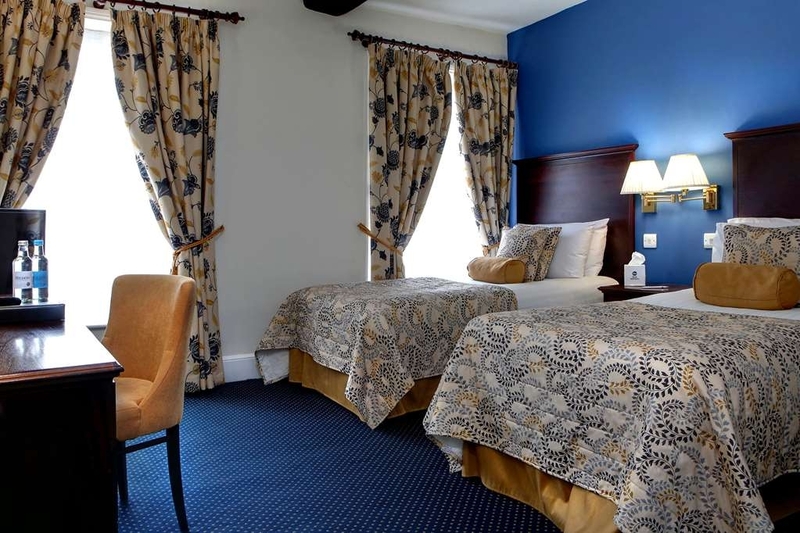 Das Best Western Wessex Royale Hotel Dorchester ist ideal in Dorchester Stadtzentrum zu finden. Erleben Sie ein schöner Aufenthalt in der Nähe von alle Sehenswurdigkeiten. Bestpreisgarantie und exklusive Angebote. Das Best Western Wessex Royale Hotel Dorchester befindet sich direkt im Zentrum von Dorchester, in einem schönen Gebäude im georgianischen Stil. Das 1756 erbaute Gebäude diente früher als Gasthaus für Postkutschen. Mit klassisch eingerichteten Zimmern und einer ausgezeichneten Innenstadtlage ist das Hotel ideal für Urlaub und Geschäftsreise. Unsere Zimmer bezaubern durch ihren traditionellen Charakter und eine äußerst komfortable Einrichtung, die jedem Gast ein Höchstmaß an Entspannung verspricht. Had a very comfortable, clean room and a TV that In could log onto my Prime TV subscription which was great. The receptionist / manager on the day I checked in went out of her way to make me feel at ease and that everything was just right. Five nights, April 10-14, 2019 stay. From the check in with Lisa until the check out with Alan Bailey we were very impressed with the cleanliness, friendly staff especially Lou and Jordan who took care of us extremely well each morning in the breakfast room. The housekeeping staff were also excellent, we returned daily from hikes, walks, touring, and day trips to find our room spotless. Would recommend this hotel to anyone visiting Dorchester for whatever reason! Dear Ambassador733010 Thank you for your lovely comments and recommendation. We look forward to giving you a warm welcome on your next visit. The receptionist was friendly and accommodating, and offered, (without prompting), an alternative room to the one we booked, so my wife need not walk up stairs. We received nothing but helpfulness and good nature from all the staff. The Hotel is comfortable, and well decorated. In a converted 18th Century building, you might expect some signs of wear and shabbiness, but this lovely Hotel looked as if it had been decorated to a high standard the day before our visit. There is a very small free car park at the rear of the Hotel, which I do not think is mentioned on the Website. The only drawback from the point of view of some guests, I suppose, is that the rooms, the car park, and other public rooms are small. As you would expect in a hundreds of years old building in the centre of a historic town. It is a luxury Hotel in miniature. My wife and I would highly recommend it, and use it again if we re-visit Dorset. Dear Citoyennedumonde12 Thank you for your lovely comments. We look forward to giving you a warm welcome on your next visit. I was booked in here by my employer for a single night and overall had a good experience. Initially I found car parking to be an annoyance as I had to park in a public car park a short walk away (luckily free overnight until 0800). Had a friendly welcome and shown to my room which was clean and functional. A few areas of TLC needed in places such as the bathroom. Bed was comfy, duvet very heavy though!! Walls are paper thin and meant being disturbed at each end of my sleep. Breakfast was tasty and quick to be served. I would stay again if booked, but I note multiple ‘big chain' hotels are now in the area which may offer a better sleeping environment. Dear FalmouthMatt Thank you for your comments they have been noted. Great to see you had a good stay. "Exceptional Value and great team of staff"
We stayed here for one night and received exceptional care from the team for a late arrival who volunterily suggested to implement a room change due to road works outside!, breakfast was served by a great team of enthusiastic young people who couldn't help enough and a speedy check out delivered efficiently- What more could you ask for! Will hopefully be back! Dear OnAir509410944361 Thank you for your lovely comments. We look forward to giving you a warm welcome on your next visit. Dear 159mls Thank you for taking the time to rate the Wessex Royale Hotel so highly. We look forward to seeing you again. "stay at the best western wessex royal hotel dorchester"
Dear Departure 10742710229 Thank you for taking the time to rate the Wessex Royale Hotel so highly. We look forward to seeing you again. Really nice hotel with friendly staff. Even walked to my room with the offer of having my bags carried. My room was comfortable and warm and had a nice bathroom. Breakfast was delicious and plentyful. There is a small carpark at the back and luckily I was able to get a space. My husband and I spent 2 very relaxing nights here. We loved our room and the staff were so friendly and helpful, nothing was too much trouble. Our room was spotless and the bed very comfortable the breakfast was delicious. Would definitely go back again. Dear BrendaO9 Thank you for taking the time to rate the Wessex Royale Hotel so highly. We look forward to seeing you again. Overnight stay for business and would stay here again. Would probably ask for room away from the front as road can be noisy in the morning and I don't like using earplugs, but minor issue. Staff are great, very friendly. Hotel itself is centrally located, 10 mins walk from Dorchester South station (London train) with plenty of pubs and restaurants nearby. Room was a good size, bed comfy, wi-fi worked well. Had a good breakfast with slightly overcooked poached egg on eggs benedict but didn't spoil it. Would recommend. Dear T2142BAgaryb Thank you for your lovely comments and recommendation. We look forward to giving you a warm welcome on your next visit. The hotel was great value, clean and well located. The staff were friendly and efficient and the lady who served breakfast was a star. The breakfast was excellent. We had a standard room which was bigger than some premium rooms I've stayed in. Dear nebster Thank you for your lovely comments. We look forward to giving you a warm welcome on your next visit. The hotel was clean, well presented, in a good location and the staff were friendly and helpful. Unfortunately I can only give one star because I didn't sleep for a single minute during the night of my stay. The walls of my room (17) were paper thin, and I could hear literally everything that other guests did during the night (it's never great when you can hear other guests snoring/having a bath/using the toilet/making any single movement). The radiator gurgled every few minutes throughout the night, and I could hear members of staff and other guests speaking loudly outside my room throughout the night (1 a.m, 2 a.m, 3 a.m.....). My room was so open to noise that it honestly felt as though they were in my room with me. The room was also next to an interior hallway door that was regularly used throughout the night, the force of which made my room door shake violently, giving the impression that someone was about to burst in. That's a truly bizarre feeling to have in a hotel. As someone who travels for work, a lot a good night's sleep (or even a just few hours sleep) is basically the only requirement, and unfortunately one that this hotel couldn't provide. Having paid 70-odd pounds to basically sit in a noisy dark room for a night, I would give this zero stars if possible. Never again. Dear Jack H So sorry you didn't have a good night's sleep, your comments have been noted. It's a shame you didn't contact the night porter, he would have helped move you to a room which suited you (can't work out which room you were in, we don't have a room 17 and we don't have central heating only electric). Many apologies again. Outside appearance does not do this hotel justice .A warm welcoming clean and presented to a high standard hotel Don't let no restaurant put you off as there is lots of local places nearby which were recommended to us .The rooms were of a high standard and ALL the staff were very pleasant and helpful .lovely fire in lounge to relax whilst having a drink in the evening. Only down side is very small car park park but a public one is only a couple of minutes away. Thank you for a lovely stay. Dear Jet47122924298 Thank you for your lovely comments. We look forward to giving you a warm welcome on your next visit. The staff were very accommodating from the early check in, the late night drinks request and the take out sausage sandwich for my hungover other half . The room was a good size, clean and had lovely little touches like chocolates and extra nice smellies. The breakfast had a lot of options with fresh and tasty pastries and fruit. I had a fab fry up. It was also a perfect location for the wedding we attended at the Corn Exchange. Loved it, will go back. The only downside is that the parking options were not made clearer on the website. Plenty of options close by but we got a bit lost. Turn right at the top roundabout (hotel is left)and just there, still walking distance to the hotel and only £4 all day. Dear George P Thank you for your lovely comments and recommendation. We look forward to seeing you again. We stayed here a few month back and really enjoyed our time. The building is old and beautiful. the location is great, we walked there from the west train station and also walked to the south station. (bags in tow). The Town is so cute! We were able to catch a bus just across the street that brought us to Weymouth for a visit and there are buses to Bridport also. We rented a car nearby for a day and visited Bridport. It's lovey there. The TV show Broadchurch is filmed there. Anyway the staff at the hotel is friendly and eager to help in any way they can. We also had breakfast at the hotel and it was excellent! We will return the first chance we get. "Appeared recently refurbished and was quiet and comfortable." No restaurant :( But bar area was nice and the staff are friendly and very helpful. We visited as a couple and the hotel was good for us. The hotel is in the centre of the town so everything was just a short walk away. Car parking is restricted with only about 1/2 dozen places. This is a beautiful hotel. Don't let the outside fool you, inside has been refurbished beautifully. The lounge area is stunning and so relaxing. I travel a lot and this is probably the best hotel I have stayed in and so important to have somewhere to relax other than your room when you are away. Like being in a friend's house. It is a shame they don't do evening meals, but it is in a perfect central location so no real hassle. Well appointed rooms. Clean, cosy and comfortable. And big thumbs up to the tea and coffee tray being well stocked with the rare, but important bonus of having a very good milk to tea/coffee ratio. Other hotels should take note! Finally, and most importantly the staff are fabulous. Very friendly and helpful and kind. Big asset. Thanks for a lovely stay. Dear Boobec Thank you for your lovely comments. We look forward to giving you a warm welcome on your next visit. The location is excellent for shopping, right in the centre. Rooms are good, very warm and comfortable. Breakfast was good, order it when you check in, it is cheaper. Very disappointed they have stopped doing evening meals. I can understand why if it is not being supported. It should have been pointed out ast the time of booking. Dear John M Thank you for taking the time to rate the Wessex Royale Hotel. Sorry you weren't given the information about our restaurant being closed in the evenings, hotel booking websites should state that we only provide breakfasts. Great to see you enjoyed the central location of the hotel. I visited here last week. I'm surprised it's not been promoted to a 4 star establishment. There is clear sign of investment and all areas of the hotel are immaculate and welcoming. Staff are friendly and offer very good customer service. The lounge bar area is very comfortable and relaxing. Breakfast was to a high standard. The hotels central location makes it an ideal choice for both business and pleasure. Excellent. Dear MartynP2 Thank you for your lovely comments. We look forward to giving you a warm welcome on your next visit. A lovely hotel full of character. Our room was clean, the bed was very comfortable and we had everything we needed; tea/coffee, biscuits, water, hair dryer. The bathroom was fine too with a lovely hot shower.The breakfast was excellent with a lot of choice and the staff were all friendly and helpful.However, as is to be expected in an old hotel, the walls were quite thin and we experienced a lot of noise from the room next door. Maybe something could be done to reduce the volume on the television. Dear 823Well_travelled Thank you for taking the time to rate the Wessex Royale Hotel so highly. Your comment about TV noise has been noted. We look forward to seeing you again. "Reasonably priced, comfy accomodation in central location"
I stayed here on a Friday night having found myself in Dorchester for a friends party. I had a single room up on the third floor (in the attic) which while small, with a sloped roof was very clean and comfortable. My one complaint was that there was about a 1/2 inch gap under the door (which I blocked with towels). It wasn't an issue as the hotel was quiet, but it's something that the hotel should address. The room had a TV and tea and coffee making facilities. The bathroom was spotless with a toilet, basin and shower. The hotel itself had clearly been refurbished recently and was very clean, comfortable and cosy, especially the bar area/lounge. The reception and bar staff were all very pleasant and polite. I didn't have breakfast so can't comment on that. There is car parking out the back, but only about 10 spaces. There was room when I stayed (given it was Novemeber I assume), but suspect it'll be a difficult to get a space normally. Anyway, the hotel was excellent value and I'd definitely stay again if in Dorchester. Dear Ivan1969 Thank you for your lovely comments. Your observation about the door has been noted. We look forward to giving you a warm welcome on your next visit. A very good experience, everything was top quality, food, room and staff attitude. I have travelled a lot around the country over the last month, staying in both national chain hotels and privately owned with no complaints about any, but this was by far the best absolutely superb. Dear Getaway60739372863 Thank you for your lovely comments. We look forward to giving you a warm welcome on your next visit. "A very pleasant stay; we will return"
This was our first visit to the hotel and to Dorchester and we will return. Dorchester is an interesting town in a lovely setting, with a range of shops, a weekly market, and a variety of places to eat and drink. The bus to Weymouth, which is well worth a visit, stops just outside the hotel, and there are also buses to Lyme Regis and other places of interest. The walk from the station takes about 15 minutes. We stayed in a standard double, which was very clean, well lit and well furnished, and the bed was very comfortable. Tea, coffee, bottled water and biscuits were provided every day, and the complimentary newspaper was a welcome addition. There was an efficient shower over the bath, with a heated towel rail, good quality towels, and shower gel/shampoo. We were in room at the rear of the hotel, which suited us. Rooms at the front might be noisy. The breakfast menu was varied and we enjoyed everything we tried during our three day stay. All of the staff we encountered at reception, in the bar, and at breakfast were friendly and efficient. We didn't meet the member of staff who cleaned our room but she did a great job. Dear Flynn Thank you for your lovely comments and recommendation. We look forward to giving you a warm welcome on your return visit. "Good location but rooms could be improved"
Hotel is in a good location in the centre of the town. Rooms could do with a refurbishment as are a little dated public areas are fine. WiFi works well. Downside is hotel has recently closed its restaurant so you have to go out for a meal - not too far to walk. Breakfast all cooked from fresh. Dear clivecSurrey Thank you for taking the time to rate the Wessex Royale Hotel. Good to see you enjoyed the central location of the hotel. Dear Jessica P Thank you for your lovely comments and recommendation. We look forward to seeing you again. Stopped here last week with my family, we had a family room and the room was very spacious and the bathroom was a good size too. Very helpful receptionist when we arrived but the only downfall we had was that our room was facing the road and we got woken up by a noisy road sweeper at 6am. But apart from that would stay again. Dear Tilly C Thank you for your lovely comments. We look forward to giving you a warm welcome on your next visit (ask for a family room at the back). "Georgian hotel in central location"
An large, atmospheric, Georgian hotel in a great location on the main street. Many of the rooms are in the two storey 20th century rear addition. Our room, in the extension, was clean and very comfortable, but felt a little small for a grand hotel. Nice full English breakfast and good common areas. Wi-fi was promised throughout, but there was no coverage at all in the rear section. There's a very handy car park at the rear, but it's first come, first served and only holds 9 vehicles. Pay and display parking is available outside and is free overnight. Dear RoamingJeff Thank you for taking the time to rate the Wessex Royale Hotel so highly. Sorry the wifi was not working for you, normally it works fine. Good to see you enjoyed the central location of the hotel. This hotel was perfect for a business weekend, I even felt like I was on holiday! Caroline at reception was an absolute gem, truly one of a kind! Lisa also very friendly and always up for a chat! These were the only two receptionists I met but I'm sure they all conform to the standards set. Jordan behind the bar was brilliant, great character and was always interested in asking about your day! All in all a great stay and would seriously recommend. Dear JacobDavies87 Thank you for your lovely comments. We look forward to giving you a warm welcome on your next visit. "Comfortable room. Great breakfast "
Dear Albia-Newton Thank you for taking the time to rate the Wessex Royale Hotel so highly. Our wifi is normally fully functional, we had a technician at the hotel during the past week and everything seems fine now. Great to see you enjoyed your room and breakfast. Great location and breakfast was lovely. (Only meal we ate at the hotel). Staff were pleasant and attentive. I felt there was some room for improvement on cleanliness. There was a fair bit of dust and cobwebs in places, around the windows and corners but bathroom and bedding looked crisp and clean. Dear Lewys J Thank you for taking your time giving feedback. Your comments have been noted. We look forward to seeing you again. Dear Neil H Thank you for taking the time to rate the Wessex Royale Hotel so highly. We look forward to giving you a warm welcome on your return visit. "Amazing hospitality and wonderful food for a large group! 80th Birthday party family celebration." The staff were amazing. The chef at this hotel cooked beautiful food. Portion sizes were excellent and each course was beautifully presented! A varied and appealing menu. The staff looked after the group really well and were very accommodating. We had a private room to ourselves which was perfect for our family get together. Nothing was too much trouble! I highly recommend this place! Dear Jane C Thank you for your lovely comments and recommendation. Great to see the birthday celebrations went well. We look forward to giving you a warm welcome on your next visit. Excellent hotel. Room very clean and well equipped ie blinds and curtains, desk fan, bottled water, hot chocolate, box truffles. Location good, near to places to eat. Breakfast really good, best yoghurt ever, hot food cooked to order. Staff very welcoming. Would certainly recommend this as a place to stay. Dear christine p Thank you for your lovely comments, high rating and recommendation. We look forward to giving you a warm welcome on your return view. "Rip off and very rude"
My partner and I booked in for 2 nights bed and breakfast in a double room. We were looking forward to our break until we got to the reception to book in .A Receptionist with a very annoying atitude told told us they only had one room available and it was a twin room. I did complain but was told that was the only room available. We were then told we had to pay extra for our breakfast and do we want to book the breakfast for the 2 days. I said I understood that it was included and the lady at reception just said no very rudely. I then said to the lady ok if that was the only room , there is not a lot I could do as it was a bank holiday and everywhere else would be booked. I then asked her to book us in their restaurant for our evening meal. Her answer was they haven't had a chef for weeks who would work at weekends, but if we wanted to get a takeaway we could eat it at one of the tables in the restaurant. My reply was we were not told this when booking and it was disgusting. The lady just smiled and said well its been like that for ages. We were then shown to our room and she went back to the reception. As we had had a long drive and I was quite tired I decided to have a lay down, as now we would have to drive again to find somewhere to eat. The bed was so uncomfortable I went to get up and one side of the bed almost collapsed. I went to the reception to tell the same lady and her reply was no one else has ever complained about the state of the mattress. In our conversation she repeated this 4 times. I then got quite annoyed and said I will not pay for a room I can not sleep in. Her reply was she would give us someone else's room who had not yet booked in, and when they come to book in they can have your original room. I really feel sorry for the other people as I don't think they will get any sleep as well as no food. I would never come to this hotel again , it is disgraceful. Dear Jayne Thank you for your lovely comments. So good to see that you enjoyed all our home-from-home comforts and you found the staff friendly and helpful. We look forward to giving you a warm welcome on your next visit. Dear 50552 Thank you for your lovely comments. We look forward to seeing you again. Just back home from our annual stay at this hotel. As always, no negatives to write about the hotel. Pleasant staff, Steve the Manager is a great guy, has time to listen to you. We look forward to coming here for our stay and I am already getting dates together to book up for 2019. Ten out of ten. Dear Diane T Thank you for taking the time to rate the Wessex Royale so highly and for your lovely comments. We look forward to giving you a warm welcome in 2019. We stayed here for two nights, in a very comfortable room, bright, airy and clean. All you could ask for really. Nice comfortable lounge/bar area with deep sofas and a small but definitely not intrusive tv at one end too. The breakfast choice certainly suited 3 out of our party, but with no natural yoghurt available, or a wider more plentiful selection of cut up fresh fruit, the birthday girl herself didn't actually partake of the breakfast on our second day. The choices however suited the rest of us, and all the waiting staff were really sweet, and helpful, and the food was hot and tasty when arrived. There seemed to be a shortage of staff on the Sunday afternoon, as there was no availability of even a sandwich to purchase, and the restaurant was not open on either night of our stay so we cannot comment on the quality of the meals other than the breakfast. Would definitely stay here again if we were looking to stay in the area. Car parking is at a premium in their small car park, but from 6 pm on the Saturday night to 8 am on the Monday morning, parking is free out the front of the hotel. Dear Della C Thank you for taking the time to rate the Wessex Royale Hotel so highly. Sorry about the lack of natural yoghurt and fresh fruit for breakfast, we normally supply them. We look forward to giving you a warm welcome on your next visit. From the moment we checked in you are made to feel welcome. The rooms were comfortable/well decorated /bright and had all you could want provided. The only disappointment for me was the lack of cut up fruit/natural yoghurt and sugar free cereals. If you don't eat breads or a cooked breakfast the table was sadly lacking. Well situated with professional helpful staff who only want to make your stay the best it could be. Would recommend. Dear MADABOUTANIMALS Thank you for your lovely comments and recommendation. Sorry about the breakfast lacking fruit etc, we normally provide a full selection. We look forward to seeing you again. 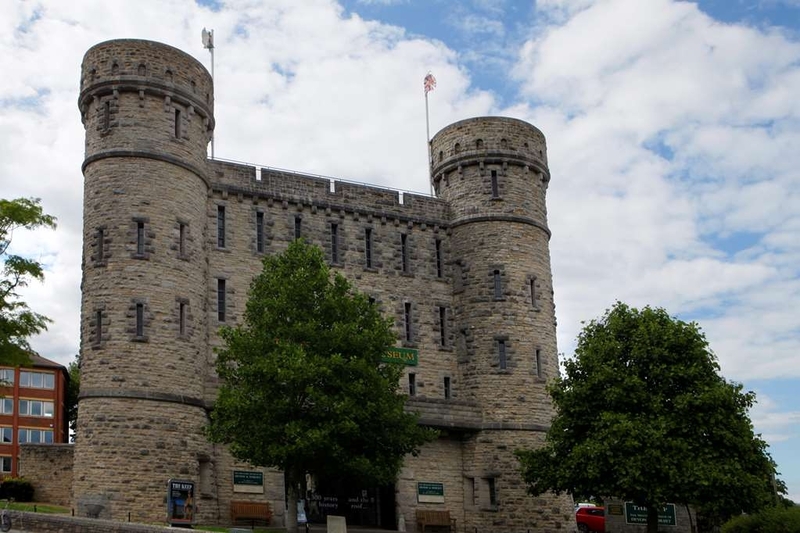 "Sleep in an historic building"
I was in town for business and needed a reasonably-priced bed for the night. It's a lovely old building and the staff team is really friendly. I was in a single room at the very top (not a problem for me, but no lift) which was small but had everything I needed...bar air conditioning in the midst of the heatwave! Breakfast was tasty with good ingredients. Would definitely stay there again, though perhaps in a larger room. "Very Impressed- for a reasonable hotel "
Business trip in this area and needed a room. The reception, bar and dinning room are small but very nice and reasonable modern so great marks there. The room was also a great surprise with plenty of space and a good sized on suite bathroom. I do have a couple of points I'd ask the management to consider: Scrap the 90's plugged in alarm clock with red numbers as in 2018 this just looks cheap and too bright for sleeping. Please get a longer hose for the shower, the head can go higher but the hose is too short for the 6 ft plus person. And sparking water is not for everyone. A bottle of still instead of sparking would have been great. Very minor points and maybe I'm being picky but also easy to fix. That said I was very impressed. Dear Ollie000 Thank you for taking the time to rate the Wessex Royale Hotel so highly, your feedback is appreciated and your points noted. We look forward to seeing you again. I don't get to stay in this hotel that often but I wish I did. The age of the building really shines through with every wall and corridor just slightly curved or off-square because it is so old, but only in a very good way! Full of character. I also have to give a name check to Caroline on reception as well who rushed around and sorted me out with food and parking when I arrived late at night, she was great. Dear Rob E Thank you for your lovely comments. Great to see you were well looked after by Caroline. We look forward to giving you a warm welcome on your next visit. We came here as wedding guests. The food was fantastic. The service was impeccable. The whole day was magical. We really enjoyed everything. The drinks were reasonably priced too. we didn't stay here but wouldn't hesitate to. Dear Rock and Roll D Thank you for your lovely comments. So glad the wedding went well and was enjoyed by everyone. We look forward to seeing you again. "Pretty good except for breakfast"
We stopped here for a night on spec. Reception staff were very welcoming, helped us with luggage to our room (no elevators as the hotel is in a listed building). Room was a good size, quite quiet (at the back of the hotel), small but decent bathroom. The only reason I haven't given this '4 stars' is that the breakfast was something of a let down. Rubbery scrambled eggs that were close to inedible. Dear bettoneyvere Thank you for taking the time to rate the Wessex Royale Hotel. Sorry you were not happy with your breakfast, did you let the staff know at the time? Great to see you found the hotel staff welcoming and you were happy with your room. Excellant staff. Great rooms. Staff were amazing and so helpful. Chef came out and sujected a dish that wasnt on menu and he cooked especially for us. Will our waiter was great. Difinately worth a visit. Dear Cyndi m Thank you for taking the time to rate the Wessex Royale Hotel so highly. We look forward to giving you a warm welcome on your next visit. My wife and I stayed here for 1 night, I don't think I've stayed in a hotel where the staff are more accommodating and friendly. We had a lovely room which was clean and well presented. It was a little warm when we stayed but the staff had opened the windows and set up a fan before our arrival. I would have no hesitation in recommending or staying here again. Dear Paul H Thank you for your lovely comments and recommendation. We look forward to giving you a warm welcome on your next visit. No impressed at all. We've just stayed here for 4 nights(27/06/18). The decor is nice, being contemporary but in an old building which is a combination we liked. I feel we should have been advised on booking that a wedding was taking place, and when we were told this only on arrival we were also assured the loud music would finish at 11.30 which of course it didn't. Our room was tidy and clean but of all the odd things, we had the frequent noise of other rooms waste water passing down pipework inside the wall just by our headboard! The supplies in our room were not checked, ie soap dispenser ran out whilst we were there but was not restocked. The parking is also a bit of a nightmare here.There are nowhere near enough spaces in the courtyard car park and you will easily find yourself blocked in by others who can't take a proper space.The pay and display alternative is not in sight from the hotel and is further away than we were told. Breakfast Sunday morning wasn't pleasant at all. There was no fresh fruit put out as per the menu and when I asked the waitress for some, I was told 'we don't have any as the delivery is 12pm' ??!! A subsequent enquiry with a waiter produced the fresh fruit, the waitress it seemed just couldnt be bothered, which showed in her manner. Then the waiter brought out our cooked order immediately after finding the fruit, which of course we had no chance to eat! We later, at the same breakfast, heard the waiter speak in such a condescending manner to a couple who came down for breakfast but hadn't pre booked. Errors with orders and service were common at breakfast and also things on the menu not being available. Perhaps unsurprisingly we decided we wouldn't eat there in the evenings after our first days experience as Dorchester has plenty of choice for good restaurants and bars anyway. Some of the other staff were excellent however but it really was a bit of a lottery - I was made to feel awkward for asking for a table to be cleared of many old empty glasses when there were 4 staff behind a bar serving only 1 person, this was the same young man who I've mentioned above with the condescending manner! Add to this an outside seating/smoking area that was badly neglected regarding cleanliness(filthy tables and always old glasses and bottles left there) and it really does tell you that some of the staff let this hotel down badly. The outside smoking area was the only outside seating we found. Sometimes arriving back at the hotel and parking the car you would find staff smoking,standing next to the rear entrance door, which I find really unpleasant. Other staff worth mentioning are the lady who was on reception when we arrived Saturday, who was always friendly and helpful, the young girl who's first day as a waitress was on Monday morning and was the best of all the waiting staff and lastly the general manager, who dealt with our checkout on Wednesday morning and even though it was the first time we had seen him he didn't even bother to ask us if we had enjoyed our stay!! We have been to many best western hotels(platinum reward members) and they are usually our first choice if our destination has one, but this hotel was one or our least enjoyable experiences and I wouldn't recommend or go back to it. Dear mike v Thank you for your comments. So sorry your stay with us wasn't right for you. Your comments have been noted and the points you've raised will be investigated. Good to see you liked the hotel décor and you found some of the staff helpful and friendly. Dear MastG Thank you for taking the time to rate the Wessex Royale Hotel so highly. We look forward to seeing you again. The receptionist male is a discredit to the hotel. Rude and obnoxious. Even simple requests were not answered. I understand it may be difficult for you to recruit appropriate staff, but rudeness is one. I would HIGHLY recommend this hotel. The staff were incredibly friendly and helpful. Nothing was too much trouble. The hotel is beautiful. I know some people have commented on the lack of a lift, but it is a listed building and a lift is not possible - to be honest, it would spoil the hotel. I am DEFINITELY going to stay there again if I am lucky enough to be in that part of the world. Surprised it is only 3 star. I would give it 5. Dear Karen Thank you for your lovely comments and recommendation. We look forward to giving you a warm welcome on your next visit. "Very good hotel with comfortable rooms and friendly staff." Everything on the whole was very good during my stay. Room was comfortable with all amenities. Staff were very helpful and friendly. Restaurant was okay if you are a meat eater, not so good for vegetarians. I stayed 3 nights and had to have the same veggie meal twice. I went out the 3rd night. Dear joanne_solanki Thank you for taking the time to rate the Wessex Royale Hotel so highly. We look forward to seeing you again. We stayed here for two nights on our way back from Cornwall. The hotel is delightful and warrants more than a 3 star rating. The staff were so friendly and helpful, and although we had arrived a little too early for check-in, they looked after our luggage whilst we went for a stroll into Dorchester. The hotel is quaint, with lots of different levels, which just added to the charm for us, and when we returned from our walk, our luggage was taken to our room. My husband had booked a superior room, which was larger than average and had complimentary water (still and sparkling) ,tea/coffee and biscuits, hairdryer, and also an iron and ironing board (may of their customers are corporate clients, so this is quite useful !!). There was also a huge bed and really good quality bedding and pillows, and the towels in the en-suite were soft and fluffy. Plenty of complimentary toiletries here too. The hotel has a nice comfortable lounge, with very" boutique" furnishings, and wi-fi is free throughout. Whilst there was a dining room serving breakfast and lunch, the receptionist told us that they no longer did evening meals, but gave us a list of places within the vicinity that had been recommended by their customers. ( We can heartily recommend the Rajpoot, Indian Restaurant just over the road from the hotel !!) Breakfast was superb; freshly cooked to order (with properly made toast-not one of those awful machines that lots of hotels install so that guests can make their own !). If there is a slight downside to the Wessex Royale, then it has to be the parking. Luckily, we managed on both evenings of our stay to park within the small courtyard that is just at the rear of the hotel; otherwise you can park on the road at the front of the hotel for free between six at night and eight o clock in the morning ;but remember to put a ticket on after that (and you only get an hours parking here). All in all, a very pleasant stay. Dear JEH1958 Thank you for your lovely comments. We are delighted to say that we are serving evening meals Monday to Thursdays. There is a car park close with very reasonable parking charges - £1 for 2 hours, £2 for 3 hours and £4 all day, you can purchase a ticket the night before (after 6pm as it is free 6pm to 8am) and it will add on the extra hours for the next morning. Great to see you had a pleasant stay and we look forward to giving you a warm welcome on your next visit. Dear Martinixi Thank you for your lovely comments. We look forward to giving you a warm welcome on your next visit. Dear 40lulu Thank you for your lovely comments and recommendation. We look forward to seeing you again. Dear Btravellor Thank you for your lovely comments. We look forward to giving you a warm welcome on your return visit. Dear JAH17 Thank you for your lovely comments. We look forward to giving you a warm welcome on your next visit. "Catch 22 in regards to room choice"
Dear DGmail Thank you for taking the time to rate the Wessex Royale Hotel so highly. We look forward to seeing you again. "This is an excellent hotel with rarely found helpful and friendly staff." A lovely hotel right in the middle of Dorchester. The room was large, the bed was really comfy, the food was good, the car park was rubbish, the staff were really lovely, I can highly recommend it. Excellent stay. Dear Christine c Thank you for your lovely comments and recommendation. We look forward to seeing you again. "Refuge from snow, close to Wetherspoons and"
Stayed several nights here, though we ate breakfast down the street, and lunch and brew at Wetherspoons 100 feet away. Hotel was full most nights, so lucky to have a room. No refrigerator in our room, but cold enough to store white wine next to the window. Dear Jim J Thank you for taking the time to rate the Wessex Royale Hotel so highly. We look forward to seeing you again. Stayed at the Royal Wessex for a weekend exploring Dorset. We decided to splash out and book one of the suites which was a lovely room with four poster bed and separate sitting room. The room was well provisioned with tea making facilities, biscuits, bottled water and unusual for most hotels, a decent iron and ironing board. We dined in one night, the restaurant is very nice but we did think the menu was a bit limited. If you want to eat out the there is a very good Thai restaurant next door and a host of eateries around Brewery Square. The choices for breakfast were excellent ranging from a full English to Eggs Benedict. If you intend stopping in Dorchester, this would be a very good choice. Free parking at the rear of the hotel. Dear James F Thank you for your lovely comments. Great to see you enjoyed our 'home from home' comforts. We look forward to seeing you again. Dear Albia-Newton Thank you for rating the Wessex Royale Hotel so highly. We look forward to giving you a warm welcome on your next visit. "Unhelpful staff and misleading website"
Currently staying in the hotel, and am not impressed so far! I booked it because I have a meeting in Dorchester tomorrow, and I was looking forward to stress free parking and being able to walk to my meeting in the morning. When you tap on the P icon on their website, it says 'free on site parking'. I also put a note in my reservation, that said specifically, 'car parking requested and appreciated.' I arrived around 7:30pm after a 6 hour drive, ready to do a bit more work in preparation for my meeting tomorrow, so I'm a bit exhausted, get to the car park, it is absolutely rammed, with people parking people in. I ring the front desk to ask what the deal is, is there any other parking, the receptionist says the website says there is limited parking, (which is not true on all parts of the website) and I have to pay for parking down the road. She starts asking weird questions like 'am I facing up or down the street,' I am not from here, I do not know! I start driving all around to avoid having to drag my bags down the road in the rain, and get parking in the back on the street. She admitted that they should have picked up on my request for parking and told me the situation, but she did not offer to pay for parking, or anything else. So I'm very wet from walking around in the rain looking at various parking meters, and ask for clarification about parking out back. But she doesn't know anything about that, stares me down, and I eventually go back to my room in stunned silence over the past 1.5 hours of driving around the hotel and walking around in the rain. I stay in a lot of hotels, about 2-3 per week. A good hotel notices that you are there for business, you are tired, and even if you are a bit upset from several hours at work or in a car, tries to make you feel at home and at ease. After driving up at 7.30pm, getting a very snippy receptionist who 'doesn't know what I want her to do about it', I feel anything but, and will not be happy to have to get back up at 7 to feed the meter. I then ring for the wifi password, as there is no service in the hotel, and she tells me the password, snaps that it is on my room key card and hangs up on me with no goodbye. So, all in all, very unhelpful staff, crappy parking, and misleading website. Clean enough room, a bit dusty and dated. Who knows, hopefully they will turn it around by the end of my stay. Dear Thank you for taking the time to rate the Wessex Royale Hotel. I'm the receptionist who checked you in. I did admit that your request for a parking space on your booking had not been spotted by hotel staff and apologised for that. We also understood that all hotel booking agencies stated that we had limited free parking, we now know that isn't correct and apologise for the misinformation. When you rang after spotting that our car park was full, all I could do was to say sorry that our carpark was full and direct you to free parking. I asked if you were facing up or down as the street you were in has an incline and I was trying to establish if you were going up or down the street so that I could direct you. At that point there was no reason to offer to pay for your parking as it is free from 6pm to 8am the next morning. I also suggested that you park your car in the centre of our car park so that the hotel staff could help you unload. This was the point in time you told me I was being 'unhelpful'. You came to reception to check in and told me that you had parked in High West Street at the front of the hotel and that you would like to have your car in our carpark for the next day. I suggested putting 70 pence in the meter and that would take your parking to 9am the next day and then you may be able to move your car into our car park. Next time you appeared at reception you accused me of giving you the wrong information about the parking meter when in fact you had moved your car to the road at the back of the hotel which is a different matter altogether. I apologise again that there wasn't a parking space for you and that you felt I was unhelpful. I'm pleased to report that you eventually managed to park in our car park that night and thank you for allowing us to discover that the mobile site for the booking agency is different to what we see on the office computer. My husband and I stayed here for three nights. We had room 101. Large bed, spacious room. This room does look out onto a busy road but traffic noise isn't too bad. We had breakfast included and there was a good choice of breakfast, a full English, kippers, salmon and scrambled eggs or pancakes. Pancakes were very nice. Staff very friendly and helpful. Has a very nice lounge/bar area for a drink. Located within easy walking distance to pubs, shops and restaurants. Would definitely recommend staying at this hotel. Dear csmpter36 Thank you for your lovely comments and your recommendation. We look forward to giving you a warm welcome on your next visit. Another stay at the Wessex Royale. This time for pleasure rather than business. Paid a visit just a few hundred yards down the road to the Dippy the Dinosaur Exhibition. 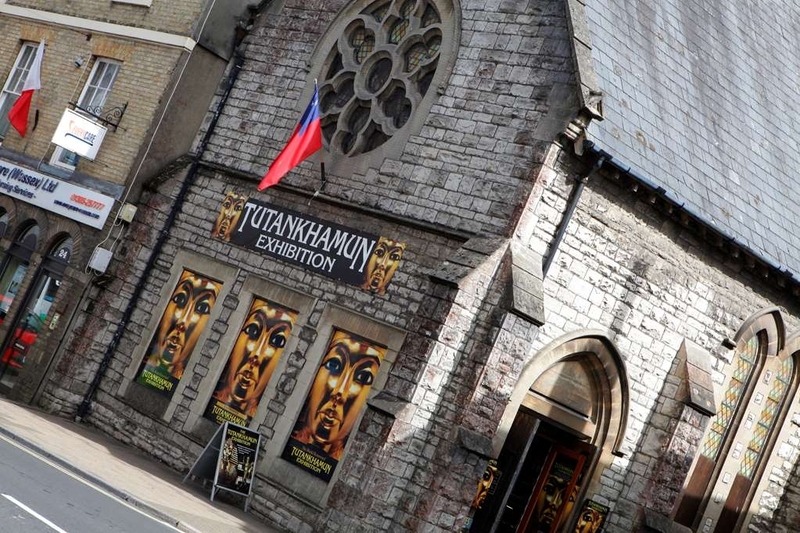 Even closer is the Tutankhamen Exhibition. There is so much to do in Dorchester these days. The addition of nearby Brewery Square and Poundbury has boosted the prosperity of the town. This hotel shows excellent signs of investment which makes each stay even more enjoyable. The refurbished entrance lounge bar area is one example. It is beautiful, warm and relaxing. The hotel is immaculate throughout with modern bathroom fittings and fixtures. Rooms have a good selection of satellite TV stations. We were personally shown to our room which was a nice touch. Staff were all very friendly and efficient in particular the lady who manages breakfast. Despite its very central location the rooms are to the rear which makes for a peaceful nights sleep. I highly recommend this hotel which delivers far more than its current 3 star rating. Dear MartynP2 Thank you for rating the Wessex Royale Hotel so highly. Lovely to see you enjoy the central location of the hotel and our 'home from home' comforts. We look forward to giving you a warm welcome on your return visit. Stayed at the Wessex Royale Dorchester for the first time through a recommendation. Very friendly helpful staff, excellent cleanliness throughout, real homely feel, very comfortable room. The breakfast was freshly cooked and was thoroughly enjoyable. All for an extremely affordable cost. Would have absolutely no hesitation in recommending this hotel and would have rated it much higher than the three stars it currently holds. Dear 6714yeovil Thank you for your lovely comments and recommendation. We look forward to seeing you again. Dear Guest Thank you for your lovely comments. Good to see you received a warm welcome and friendly service. "Great location, clean room and friendly staff." 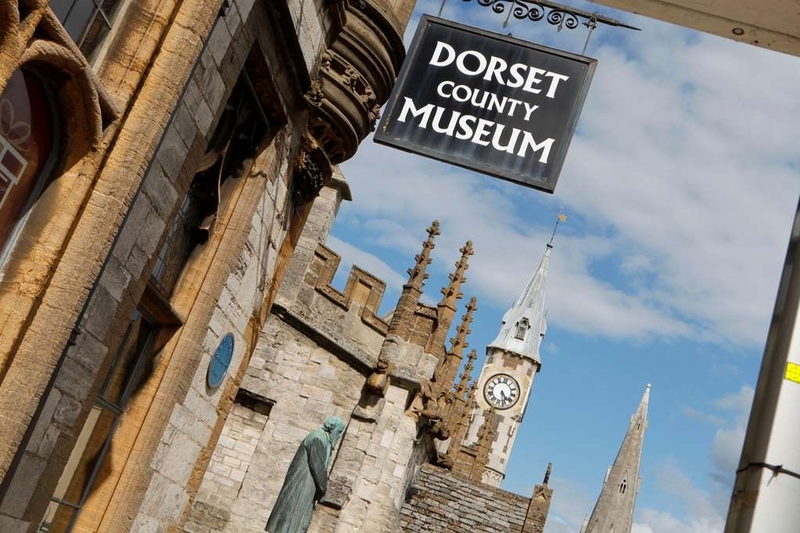 Stayed here to visit Dippy, and so a great location to the Dorset County Museum. Also close to 2 bus-stops in either direction to Weymouth, or Bridport, Lyme Regis or Axminster. Limited parking on site, maybe 6-10 places, need to contact hotel for alternative locations. Friendly and helpful staff. Dear SurreySuitcase Thank you for your lovely comments. Great to see you enjoyed the central location of the Wessex Royale Hotel. We look forward to giving you a warm welcome on your next visit. Popped in after visiting Dippy as they had an offer on (kids eat free) for lunch. Appears to have been recently refurbished and is a very pleasant space. I wasn't expecting a lot to be honest, but the lunch menu had plenty of choices and when the food arrived it was one of the best meals I've had for ages. Brilliant value for money and friendly service. Highly recommended. Dear jimbob_uk Thank you for taking the time to rate the Wessex Royale Hotel so highly. Lovely to see you enjoyed the lunch menu. We look forward to seeing you again. stayed one night, The staff were very friendly and helpful from the moment we checked in. Room was very clean and tidy thanks obviously to the hardworking housekeeping staff. WIFI was excellent. Although the room was on the front we experienced very little traffic noise. Dear Sylv n Maria A Thank you for taking the time to rate the Wessex Royale Hotel so highly. So glad you enjoyed your time with us and we look forward to seeing you again. "Saved us twice, parking next room"
When first arrived, found us Rm 4 next to courtyard parking. Then days later, approaching snow, found us the same room and parking though full. Rapid service (eve, front desk clerk delivered) within 2 minutes. Witherspoon's and Costa nearby for modest fare and great brews, both bean & hop varieties. Free newspaper of choice. Dear Mohlpowers Thank you for your lovely comments and for rating the Wessex Royale Hotel so highly. So glad you enjoyed our 'home from home' comforts. We look forward to seeing you again. My husband and I visited here for an evening meal. We had 3 coarses and found them all lovely. There was enough on the plate and the chefs presentation of them was excellent. Our waiter, Callum, was very pleasant and not intrusive. Dear kerstie66 Thank you for taking the time to rate the Wessex Royale Hotel. So glad you enjoyed your special anniversary meal. We look forward to seeing you again. "Over night with wife and son in law & daughter"
Dear Chris C Thank you for your lovely comments. We look forward to giving you a warm welcome on your next visit. We liked the hotel and area and extended our stay, nothing was too much trouble and the staff friendly.Sam gave us good dining advice and was very personable. The four poster bed and room with spa bath were very comfortable and spacious,the decor was tasteful and in fitting for a historic hotel , fab.Thank you for a lovely relaxing stay, we definitely would return. Dear Paul J Thank you for your lovely comments. Great to see you enjoyed our 'home from home' comforts. We look forward to giving you a warm welcome on your next visit. "Well located and an extremely comfortable stay"
We stayed here while visiting relatives last week. We had a tastefully furnished family room on the 2nd floor which was very spacious and had everything we needed including armchairs and a small table as well as a writing desk. Very pleasant bathroom with great shower over the bath, huge bed which was so comfortable with warm but very light duvet, plentiful tea tray with biscuits and water too. Our daughter had a full size, very comfy bed. Good food - we ate in twice, as well as breakfast. As always at BW, lovely, helpful staff. The location, friendly staff, beautifully light duvets all mean a return visit in the not too distant future. Dear Chandler 14 Thank you for your lovely comments. Lovely to see you enjoyed our 'home from home' comforts and your family were well accommodated. We look forward to giving you a warm welcome on your return visit. "Poor Service and Dirty Room"
We stayed here for 2 nights this weekend. When we checked in the staff member was quite cold and unfriendly, especially as we told them we were celebrating a special birthday. Our room was like walking into a cupboard in the corner - door opened outwards and wasn't normal width. The room was run down with cobwebs hanging from the ceiling and the bathroom was very dated. You literally walked up a ramp into the bathroom the floor was that uneven. THERE IS NO CAR PARKING - despite what the site says there are only spaces for about 8 cars and not once all weekend was this available. So be prepared to pay for parking nearby in town. If I had known this before booking I would have gone elsewhere. To make it worse when we checked out I spent 10 minutes arguing with them that I had already paid - I had confirmation emails and showed them my online banking. In the end they agreed to it, but they clearly didn't have good admin systems. There is free WiFi. Not a great experience and I wouldn't go back. Dear 2Travel4Explore Thank you for taking the time to rate the Wessex Royale Hotel, your comments have been noted. So sorry you were not happy with your room, on your first morning if you'd mentioned your concerns to the receptionist we may have been able to move you. The hotel does have limited free parking, there are local fee paying car parks close by. Parking is free 6pm to 8am and only £4 all day. Dear Bev C Thank you for your lovely comments and your recommendation. So glad you enjoyed our 'home from home' comforts. We look forward to giving you a warm welcome on your return visit. We stayed for 2 nights at the hotel, we have never been to Dorchester before but the staff were excellent and suggested a Italian restaurant for us and even phoned them to make our reservation. The room was clean and warm with plenty of supplies for the bathroom and drinks. All the staff from the reception, dining room and night porter were very friendly and helpful. A credit to the hotel. Dear Julieanted8 Thank you for your lovely comments. We look forward to giving you a warm welcome on your return visit. Stayed here very last minute with my other half as we were staying late in town. We had a lovely stay! On arrival the receptionist was so friendly and helpful! The room was really fab, very clean, comfy bed and would definitely like to stay again. Dear NibblesinNooks Thank you for your lovely comments. We look forward to seeing you again. Stopped only one night in this grade 2 listed building, lovely and quaint with uneven flooring and lots of twists and turns to find your rooms. The bedroom and bathroom were immaculately clean. The staff were very efficient and polite. Breakfast was very good. Would recommend to anyone who wants to stop in the area. Dear The-Didcot-Boy Thank you for your lovely comments and for rating the Wessex Royale Hotel so highly. We look forward to giving you a warm welcome on your return visit. Dear Happytravler2013 Thank you for your lovely comments and for rating the Wessex Royale Hotel so highly. We look forward to giving you a warm welcome on your next visit. "Great room, lovely staff, beautiful hotel, shocking approach to food"
The good: Hotel was beautiful. The staff could not have been more helpful. The lady at reception conducted me to my room personally and explained the heating. Room was lovely, bed very comfortable and the complimentary water and newspaper were very welcome. The bad. The car park is a little cramped. The room was a bit cold and despite having the heater on all night, didn't warm up all that much. Possibly due to it being an old building with old windows. The worst of the bad happened at dinner. The menu was rather meat-centric. However I chose to eat there and had fish which was very nice. For pudding I requested lemon posset. When it arrived, I was on social media with my cousin who was posting photos of his meal in Edinburgh. The lemon posset looked lovely so I took a photo to post to my cousing - 1st photo in the attached series. I then moved the shortbread to one side to get to the posset and was shocked to see that instead of a light fluffy texture, I had been served a dish that was dried up and cracked and appeared to have been left out for hours (second photo in series). What was worse was the fact that the garnish of red sauce, strawberries and shortbread had clearly been arranged, with copious amounts of icing sugar, to conceal the inedible state of the pudding. I complained to the waitress who was very helpful and took it right back to the restaurant. She returned to say the chef was very apologetic, and these lemon possets were from yesterday, but the new batch he had made today weren't quite set. I said I would like to have one of the fresh ones even if it was not quite ready. Returning from the kitchen, she said that the chef said they were just completely liquid and really not ready to eat. I cannot help but question that the existence of the new batch of lemon possets. These dishes do not last 24 hours so they should have been disposed of and a new batch made with enough time to set. Failing that, it should have been removed from the menu. The waitress offered me something else, so I chose a cheesecake which was very nice. I was not charged for the pudding. Several things are disappointing about this experience: 1. The chef should not serve old food that is not fit to eat. 2. The chef should not attempt to disguise food that is not fit to eat in order to con the customer into eating it and not realising just how unpalatable it is. 3. The final straw was when I returned to my room and realised that the 'shortbread' that on the menu was listed as accompanying the lemon posset and which had been used to attempt to disguise the dried out cracks was in fact the same as the biscuits provided in the room to go with the tea or coffee. I have not given a low rating because it was a pleasure to stay in the hotel and the staff were top rate. However I would be reluctant to risk eating there again which is a shame. Dear GadgetGal G Thank you for taking the time to rate the Wessex Royale Hotel. Sorry you were disappointed with your pudding and that we were unable to supply a fresh one, your comments have been noted. Great to see you enjoyed your room, hotel and hotel staff. Room was a little compact with very dated furniture and carpet. Bathroom and breakfast was exceptional. Communal areas are stunning and service is okay. Can't be a little rushed and busy at the bar. Parking is an issue during festive seasons. Dear Chantell J Thank you for taking the time to rate the Wessex Royale Hotel. Your comments about your room have been noted. Great to see you enjoyed your breakfast. "Wouldn't stay again - small double beds"
Stayed here for one night whilst in the area for a wedding in room 108. The room itself was a decent size but the bed was small. I think it was a small double rather than a full sized double bed. We probably would have booked somewhere else if we had known this as it was an uncomfortable night's sleep for both myself and my fiancé. We were also kept awake by the light in the corridor shining into the room through the cracks in the door. Breakfast was cooked to order, which was really nice. Dear Lauren H Thank you for taking the time to rate the Wessex Royale. Sorry you were disappointed with the bed size, all our double beds are standard double bed size. Good to see you enjoyed our cooked breakfast. Our group of around 20 attended the Wessex Royale for a charity event in their function room, it was a quiz and on arrival they had laid out paper on each table and pencils for us which was completely unexpected and showed that they had put thought into our visit. We were there for a good few hours and all ordered drink, and most of us ordered food from the bar which has a separate access for the function room so you don't have to queue up with everyone else, and they were just friendly, professional and courteous throughout. Would recommend their services to anyone. Dear Dodge1991 Thank you for your lovely comments. Great to see you enjoyed your charity event and we look forward to seeing you again. I stayed here a year ago. At that time there were some refurbishments on-going. It was pleasing to return again and see the outcome of the changes. The initial appearance and feel for the hotel is transformed by a high quality entrance. This offers a very comfortable lounge area, with a beautiful fireplace and bar. Carpets appear to have been renewed throughout. I believe that all rooms have now completed their modernisation programmes. 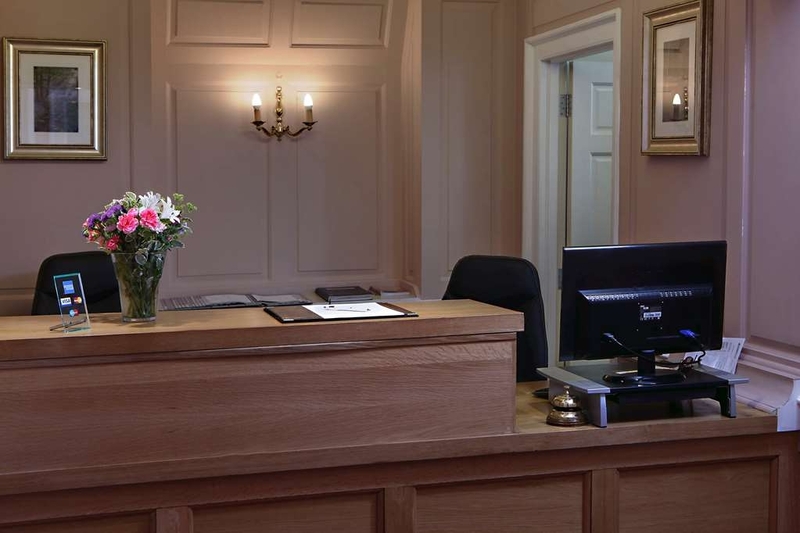 The Reception process is very professional and guests are shown to their rooms (a nice touch). My room had a high spec bathroom/shower. Breakfast was excellent and I noted a couple of awards proudly on display. Overall this was great value for money. Impressive. Dear MartynP2 Thank you for your lovely comments. So glad you liked the hotel refurbishment and you have witnessed the transformation. We look forward to giving you a warm welcome on your next visit. Cheerful greeting from lady on reception. Very clean and comfortable room. Good nights sleep in comfortable bed. The whole ambiance of the hotel was very good. One minor grouse the shower gel dispenser ran out just before the end of my shower . Overall a great place to stay. Dear ctw626 Thank you for taking the time to rate the Wessex Royale Hotel so highly. We look forward to seeing you again. We stayed here before and it was good all round. This time we was not so happy, we booked a ground floor room due to my partner having a disability on arrival we were told we was on the 3rd floor!! Managed to get a room on the 1st floor eventually still a struggle with no lifts. The room we found to be dirty dusty and cold, the bathroom window would not shut properly so there was a draught from the very cold weather outside. The trays with the 3 sachets of coffee and milk cartons was thick of dirt and dust. All the lamps and cabinets had layers of dust on. On going back down to reception to complain, we asked for extra milk to be put in the room we found a jug of milk uncovered on the tray... We felt let down on the stay we had. On checking out and after complaining and making sure it was understood we were not happy and wanting the manager to contact us due to being told he was not in that day, we have now waited 3 days and not heard anything from him. The receptionist wrote everything down that we complained about and was sincere that she was sorry we were not happy. It's a shame the manager couldn't be bothered to listen to his clients or take time to communicate to us. We shall not be returning and wouldn't recommend this hotel for the money we paid it was not worth the visit. Dear theresadsmith17 Thank you for your comments. Both the Manager and Assistant Manager tried to reach you on your phone but no success. I'm the receptionist who checked you in on the Saturday night, I discussed with the manager about replying to your review. I vaguely remembered you from your previous visit and I suggested (straight away, not eventually) that you would be better on the first floor rather than the room booked for you on the third floor. It did say on your booking notes that you would like a room on the ground floor 'if possible' due to a disability. We always suggest to guests that it would be better to contact the hotel directly if mobility is an issue and we always endeavour to accommodate them on the ground floor, subject to availability. Unfortunately you had booked through a third party so you were automatically allocated to a third floor room as all ground floor rooms had been taken. I'm sorry I didn't 'pick up' when you came to reception on your way out that you wished to complain about the room. You seemed very happy, you asked for some fresh milk (which I took to your room very late that evening, fair comment that it was in a jug and I'd forgotten to put a cover on it) I asked you did you need anything else besides the milk - tea or coffee? and you replied everything was fine. I must assure you that if you'd have complained about the room at that time, early in the evening, I would have moved you to another room on the first floor. We're sorry you found the room dusty and had problems with the bathroom window, (there was an exceptionally strong cold wind that night) we don't understand how that happened as a hotel inspector had inspected the room on the Thursday, two days before your stay. We have 24 hour reception cover, it's a shame you didn't contact the night porter and informed him you were unhappy with your room, he too would have moved you to a different room or at least replenished the fresh milk. We are sorry we have lost your custom. "A charming old Hotel on the High Street"
Dear CheshireIanP Thank you for your lovely comments. We look forward to giving you a warm welcome on your return visit. Dear Helen A Thank you for taking the time to rate the Wessex Royale Hotel. Sorry there was some confusion with the vegetarian starter, good to see your friend enjoyed her main dish. Your comments about the service have been noted. Great to see you like the hotel's 'make over'. "So so ... some good some not so ood"
Our second visit. The first time we were put up on the second or possibly third floor and we asked to be moved. This time, when we booked we asked for a room nearer reception. We were on the first floor but at the farthest end as far from reception as it was possible to get. When I queried this there was some sort of explanation about rooms being booked but the hotel was by no means full. The food is nicely cooked but breakfast takes ages to arrive. It is all very well cooking to order but surly managing a few orders at once should be possible ... I have been there and done that so do know how! At the moment we are not sure if we will return. It is a lovely building in a perfect position but for a business trip isn't quite right. Dear Travelling_Trainers Thank you for taking the time to rate the Wessex Royale Hotel. Sorry you were not quite happy with the position of your room. Apologies also for your wait at breakfast. Your comments have been noted. 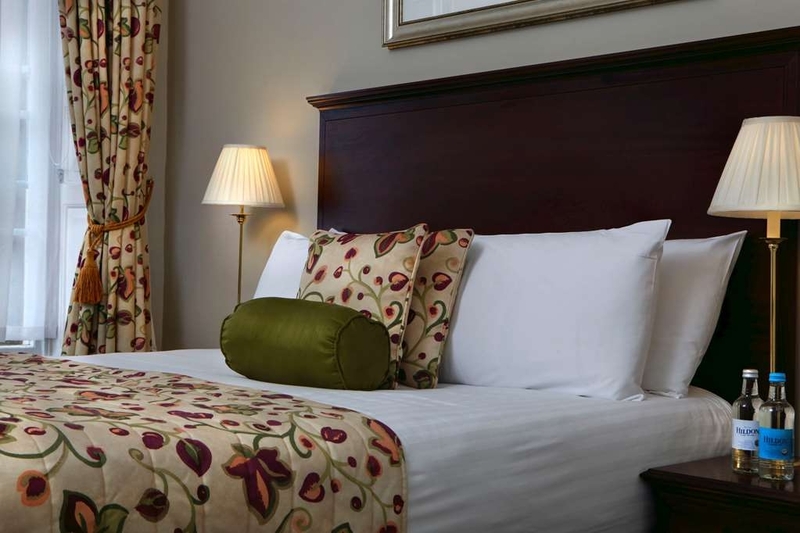 This hotel is located on the main high street, but only a short walk to the café area of Old Brewery Square. Its rooms are in the main house or the former stables so that are not corporate as you would find in a modern hotel. The rooms are very comfortable and well appointed. Always go with the breakfast deal as it is extremely good. It does have an on site restaurant and the chef is accommodating if you want to mix and match his menu. Warning the car park entered from the rear is very small and has limited space, you may have to park in the road overnight for which there is a charge. Dear Ken N Thank you for your lovely comments. We look forward to seeing you again. Had to come to Dorchester on business and chose this hotel due to the good price. And I will say, I am happy that I did. As my family came with , I took a family room. It was lovely and spacious and clean. The only down side is the family rooms are on the second floor. We had breakfast and there is a good selection to choose from. Well worth the stay. Dear Markhowes Thank you for taking the time to rate the Wessex Royale Hotel so highly. We look forward to seeing you and your family again. "Room very noisy - WiFi not functional"
I had a room in the new section of this hotel - the walls were very thin and the corridor very noisy - poor nights sleep as a result - Kept awake other guests until after 0100 and woken at 0600. WiFi problems continue for this establishment despite a new server - There is no access to WiFi in the cross link corridor rooms. Dear Albia-Newton Thank you for your comments. Sorry your stay wasn't right for you. "Go hotel for a short stay"
We only stayed the one night but our room had everything we could have wanted. Wifi was free. Staff very helpful. My partner had a full English breakfast which he enjoyed. I prefer lots of fruit and cereal which was fine. My only complaint would be that the choice of fruit was poor. Dear susangriffin11 Thank you for taking the time to rate the Wessex Royale Hotel so highly. We look forward to giving you a warm welcome on your next visit. "Another lovely meal on our second wedding anniversary"
Got married here so wanted to return again for anniversary dinner. My husband had 6 oz steak and chips then Eton mess cheesecake served in a killer jar. He enjoyed it but eating a posh meal out of a preserving jar not attractive and detracted from the desert. Eating out should be about enhancing dining experience not diminishing it. Shame to spoil a good desert with 'trendy' presentation. Stick to classics for posh meals . I had cheese and chutney sandwich , salad and crisps then gooey, warm chocolate brownie, vanilla ice cream, superb. Refreshing to be allowed to choose a sand which for dinner. I am vegetarian and not keen on white pastry or pasta or white rice so delicious whole meal sandwich was lovely and good value. Service was ok but we had to amble about to try and attract some attention before we could get a drink and be shown to restaurant. Nice ambience, pleasant evening. Bar man doubled up as waiter, very pleasant but could use some bar tending skills regarding knowledge of drinks etc. Husband asked for draught beer and nearly ended up with draught larger. He had Doom Bar , bottled, very nice. Overall I recommend this. £5 for really nice sandwich, salad and crisps served in evening, is excellent. So pleased I could order just what I really wanted for dinner. Dear Helen P Thank you for your lovely comments. Your feedback about the bar and restaurant service have been noted. Congratulations on your second wedding anniversary. Fantastic...clean room and very posh,comfy beds we had a superior double.. and even though it is on the high street not too much noise from the traffic,hotel bar was lovely and staff couldn't be more helpful.Parking is limited but overall have no complaints at all...breakfast was yummy!! !The hotel is warm throughout and even though there was a wedding taking place,not noisy or overcrowded. Dear mel h Thank you for your lovely comments. We look forward to giving you a warm welcome on your next visit. "Disappointed in latest visit - not what it was." Have stayed here before and really enjoyed it - the rooms, staff and restaurant made a lovely stay. Recommended it to relatives from abroad meeting up for a family event. This time it was less satisfactory, and the rooms seem more expensive. The receptionist was very nice and helpful, also the night porter. Our room was 'superior' but unlike in previous visits, it was small and cramped, and the decor although clean and tidy was quite dated, especially in the bathroom which was really cramped, the over-bath shower especially - cue bruises on elbow from badly placed soap dish. There was no kettle with the tea-making tray. One was brought up straight away, but I later saw another guest taking a kettle into his room, which he had had to go and get. Our relatives had nicer rooms, thankfully - larger with good bathrooms. The real disappointment came with dinner. Had two good evening meals in the past, a lovely experience. This time, our group was handed menus with quite boring choices, much like pub food really (a shame as had had similar pub meal elsewhere for lunch). The service was incredibly slow, though only a few tables occupied, and the lone waitress seemed as though she could not be bothered. We asked for water for example, and she brought three glasses (prebooked table set for five). When the remaining two people joined us shortly afterwards, we had to ask for glasses for them. An initial enquiry about pre-dinner drinks before the food was not repeated, so the meal was 'dry' apart from water, no wine or other drinks offered. There was no sense of occasion. It felt very lacklustre. The service was slow and disinterested, with virtually nil eye contact. The meals were mostly only so-so, but the sea bass was so overcooked it was sent back, and not replaced for over 15 minutes - how long does it take to cook sea bass fillets? By then the rest of us had finished our main course. The new plate was just put there, no explanation or comment. The whole meal took nearly two hours. In answer to another review, the manager writes that diners are asked if their meals are satisfactory but nobody asked us. On leaving saw a 'specials' board that was not obvious (behind where we came in), which we were not told about, but had some really interesting nice dishes on it. We could have had a much better dinner. When asked why, the waitress did not explain why she had not bothered to tell us about it. This was the first time in 15 years we had all been together, and the occasion should have been so much better. Breakfast also disappointing. Cannot imagine how they won 'awards' for it. A small self-service counter had packets of Kelloggs etc. but no proper muesli. Some slices of pineapple and melon had clearly been prepared hours earlier as looked dried up. Very little other fruit choices. There was no natural yoghurt, only the sugared kind which two of us could not eat. (they had 'run out'). The cooked breakfast was only alright, the baked beans barely lukewarm and too unappetising to eat. Having waited ages for the ordered toast, I actually had to get up and open the kitchen door to ask for it. The same waitress as previous night was just standing around in there apparently with nothing to do, having disappeared from the breakfast room ages before. Toast came out quite charred. The tea was weak (one teabag in a whole 2/3 person pot). On checkout I queried the 'superior' room designation and mentioned the above problems with dinner and breakfast. I was told the manager might contact me by email, but as yet (four days later) have heard nothing, even though I have since also queried the room on the hotel's website enquiry form. Sadly something seems to have changed and it was not the same good experience as before. Really sorry as it was quite special before. "Lovely traditional coaching inn hotel"
Just an overnight stop on the way to the West Country, but just delightful. A real, traditional hotel with professional caring staff - especially the lovely lady on the Reception (and the bar, and the restaurant!) who took real interest in our needs, gave us a lovely room on the first floor, and was a credit to the establishment. Well done. It's a traditional building, so parking on-site is a bit tight, but no problem - there's plenty of meter parking outside @ just 50p overnight - and a big public car park round the corner. Thoroughly recommended. Dear rowly2017 Thank you for your lovely comments. We look forward to seeing you again. Stayed here for business. Had a very small but very clean bedroom. The hotel is well located in the centre and near the hospital. The restaurant doesn't look like much but the evening meal we had was good. The service was incredibly slow, given how empty the place was, but not a huge problem. Dear Stemalpul Thank you for taking the time to rate the Wessex Royale Hotel. We look forward to seeing you again. Stayed here on business last week. Service was very good with the female receptionist very friendly (apparently she was new). The Check In experience was very friendly and all information was given well. She was welcoming and showed me to my room. Dinner in the restaurant was excellent. I had the scallops, pork belly and posset. With two beers, it came to about £30 which I thought was very reasonable a hotel of this standard. The room was large and homely. Complimentary newspaper was a nice touch. The bed was very comfortable and I slept well. The bathroom was modern and clean. Managed to get a car parking spot even though I arrived at 20:30, so no issues there. Dear Padraig Joseph G Thank you for taking the time to rate the Wessex Royale Hotel so highly. Lovely to see you felt well looked after and we look forward to giving you a warm welcome on your next visit. I booked this hotel because it was adjacent to my destination. However, it exceeded my expectations. The staff were very friendly and helpful. Without being asked the receptionist gave me a double room on floor 1 as all the single rooms were on floor 3. The room itself was spotlessly clean and comfortably furnished. The wifi was superfast as advertised. Breakfast was excellent. If I am again in Dorchester I would have no hesitation in booking this hotel again. Dear Balders T Thank you for taking the time to rate the Wessex Royale Hotel so highly. Lovely to see you enjoyed our 'home from home comforts' and we look forward to giving you a warm welcome on your next visit. Welcoming staff. Clean room. Great Breakfasts. Nothing negative to write hence that's why we keep coming back - and yes, we have already booked next year's stay. There's a lovely park around the back that is well kept, its clean, has a section for those keep fit enthusiasts who want to work out in pleasant surroundings. Dear Diane T Thank you for rating the Wessex Royale Hotel so highly. We look forward to giving you a warm welcome on your next visit. Stayed a week here for a business trip and was delighted. My "room" was more a flat. Huge! Was offered assistance with my bags there is no lift and was shown around. Breakfast is a lovely relaxed affair with friendly waitresses and many options. Parking is abysmal BUT the "top of the town" carpark is very cheap at £1 for an overnight stay and only 100yd walk. Will definately return when next in the area. Dear Del-Gregory Thank you for your lovely comments. We look forward to giving you a warm welcome on your next visit. We were staying for a wedding. We had a suite which was clean, comfortable spacious. No extra frills but very good for 3 star. Staff friendly and efficient, offering to carry luggage, ordering taxi etc. A couple of niggles, two tv's and neither was working......explanation " We have a problem with them that we can't fix." Offered and requested newspaper...it didn't arrive......explanation " If it wasn't outside your door, then the van didn't deliver it." Re tv.....is there not a spare tv in the whole hotel? Re newspaper.....go to the shop? Was it ordered? No one had a newspaper outside their door, so don't offer in the first place! We had lunch, dinner and breakfast all very good. Elderly mother booked in to room 300-- lovely room but three steep flights of stairs so beware! Would stay but recommend with a couple of caveats....... Very limited parking. Dear julia q Thank you for taking the time to rate the Wessex Royale Hotel so highly. We'd had some electrical work done in the hotel the day before your arrival and we think maybe wires had been dislodged in the loft, it wasn't a case of being able to exchange the televisions. If newspapers are not delivered we usually offer the one's that are in the lounge. You booked your rooms through an agency, if booked directly with the hotel we can explain the position of your room and help accommodate guests in a more suitable room, subject to availability. We received a lovely warm friendly welcome from Lisa on reception when we arrived at the hotel, she showed us to our room, and told us the history of the building. Our room was clean, and had everything we could of needed. We ate in the restaurant, and the plaice and pork belly were excellent. The only thing that may affect some travellers is that there is no lift, as the building is a grade 2 listed building. Dear dumplingdave123 Thank you for taking the time to rate the Wessex Royale Hotel and for your lovely comments. We look forward to seeing you again. Dear Trevorlivings Thank you for your comments. Sorry your stay wasn't as expected. Really lovely Grade 2 listed building. So uneven squeaky floors but really done up well. Nice decor. Great room with En suite which was clean as was the room. Really friendly staff.. Lisa met us and was super helpful and informative. Showed us to our room personally, offered the free newspaper. When we came back that evening Graham, the Night Porter who also served in the bar. Regaled us with local history & stories. We'd definitely go back again. Dear Sandra F Thank you for rating the Wessex Royale Hotel so highly. Lovely to see you found our staff friendly and helpful. We look forward to giving you a warm welcome on your next visit. "Book premier inn to guarantee a good nights sleep"
The staff were friendly, the breakfast was good. Coffee...debatable. Clean enough, not spotless. Room, terrible. Bed was uncomfortable and not level, walls soo thin your could hear all the detail of neighbouring room. Plumbing was very noisy. Told receptionist our problem, they couldn't move us as fully booked, but would get maintenance to look at it. When we returned for 2nd night, bed was still very much uncomfortable and not level. I also told receptionist on the following morning we were disappointed, all she could say was, it was a shame and there were no other complaints....... If you're staying in room 301, take a lilo and some earplugs. Dear Dev2009 Thank you for taking the time to rate the Wessex Royale Hotel. Sorry the room wasn't right for you. Maintenance reported that they levelled the bed as requested but again sorry it was still uncomfortable. Lovely to see you found the hotel staff friendly. We were welcomed to the hotel by Caroline who was very friendly and helpful so the stay got off to a good start. The public rooms are nice enough but the hotel is let down by poor organisation. Our room was small but an adequate size for a short stay, however the bed had definitely seen better days. The mattress was very uncomfortable and made for a poor nights sleep. We had dinner a couple of times in the hotel and the food was no more than ok. Breakfasts were a disaster, food constantly ran out and staff did not seem to notice. On two mornings we asked for croissants which had run out and were told there would be a 15 minute wait while chef cooked some more! My husband had the full English breakfast a couple of times which was less than inspiring. On one morning he had the eggs benedict which consisted of two rock hard poached eggs on toasted muffins with a splodge of a greasy sauce on the side. Dear Jan W Thank you for taking the time to rate the Wessex Royale Hotel. Sorry your stay was 'not ideal', your comments about breakfast and your mattress have been noted. We can add 'mattress toppers' to aid a more comfortable nights sleep. 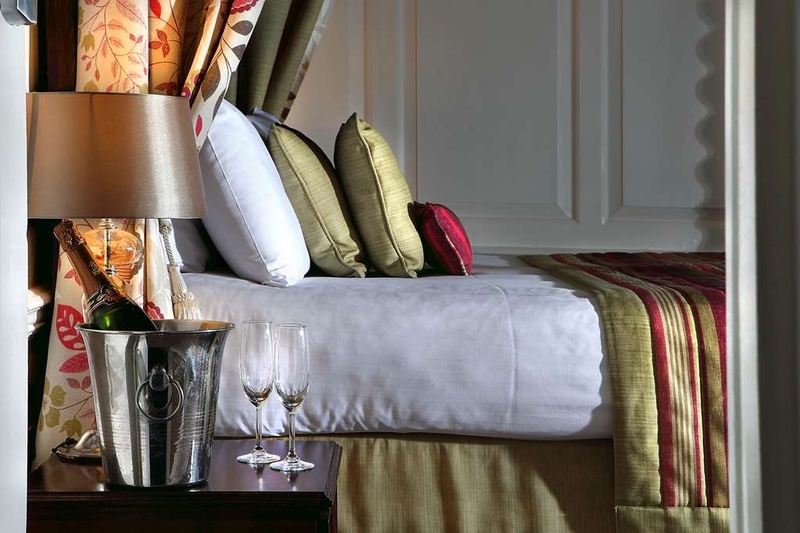 "A good find when needing a journey break"
Dear Liz L Thank you for taking the time to rate the Wessex Royale Hotel so highly. Lovely to see you enjoyed our 'home from home comforts' and we look forward to giving you a warm welcome on your return visit. "Rude Staff, Poor nights sleep due to noise." Do not stay here if you want a good nights sleep and good customer service. Stayed here with my partner for a long weekend. Booked in advance. The room itself was lovely however first night was completely ruined by loud music coming from the bar area. When we checked in there was a brief mention of a birthday party in the bar later. However no mention that loud party music would be playing until nearly MIDNIGHT! We were not informed at any time prior to arriving that a party was booked. A courtesy email would have been nice, and would certainly have swayed us booking here. Not wanting to be a party pooper we waited till 11pm before heading downstairs to find someone to ask what time the music was stopping. After waiting at reception for 15 minutes ringing the bell and the phone and still no reply, I was forced to go up to the barman at the party to ask for a receptionist. He was blunt and rude. After simply asking him if there was anyone at reception I can speak to about what time it goes on to, all the response I got was "Yeah me. I've said to them that the music will stop at 11:30". When asked if there was a manager I could speak to in the morning about this issue, I received a shockingly rude reply of "No, you'll be lucky to find a manager to talk to". As it turned out the music continued until 11:45pm, so the barman also lied. Considering we were paying over £150 a night for a hotel room we currently couldn't sleep in we were appalled at the lack of customer service. Like I said the room itself was lovely, if not a bit dusty. However this lack of customer service and rudeness has ruined the rest of our weekend. Dear Victoria M Thank you for taking the time to rate the Wessex Royale Hotel. Your comments about our lack of communication about a function on the Saturday night (your first night stay) have been noted and we are sorry you felt it ruined your whole weekend. We must publish however that the receptionist did not leave the hotel until 11:15pm on the Saturday and was sorry she missed you . It was lovely to see you enjoying your meal in the hotel restaurant on the Sunday evening. "Good private dinner for a large group"
Our large group of walkers were well looked after when we visited for dinner in a private dining room. The quality of the food was very good, though some of the dishes took a long time to appear. The menu offered good choice and was reasonable value too. Dear Mattinbrum Thank you for your lovely comments. We enjoyed looking after your large group and we look forward to seeing you again. Room very small and was warm as I was in the roof. Floor 3 and no lift (It's a good job I'm relatively fit). A fan was provided which helped with the heat a bit. Room door was on the latch (open) when I arrived. Soap dispenser empty in shower so called reception and they sent one up after 10 mins. Receptionist came and just handed me the soap with no offer to fit it into the wall bracket or an apology. Didn't eat dinner here or breakfast as it's not served until 7 and I needed an early start. Old building with creaky floors. Good location for town centre but car park only holds up to 10 cars. WiFi ok.
Dear DaveBoss Thank you for taking the time to rate the Wessex Royale Hotel. Sorry you found your room warm and the soap had not been replenished in your shower. Great to see you enjoyed the central location of hotel. "Nice hotel, shame about the bed"
The hotel is centrally located at the top of Dorchester's historic high street. The staff were invariably friendly and breakfast was cooked to order. The standard double room was rather on the cramped side but had a nice bathroom. The bed was the smallest double that we have ever seen and *very* creaky: you end up waking up every time you turn over. Time to update the beds and mattresses to provide a reasonable level of sleep comfort! The free parking at the back of the hotel is very limited: there's room for perhaps ten cars in all. However, there is a large and very reasonably priced pay-and-display car park across the road. We ended up parking there on all but the first night of our four-night stay. Dear mmv77 Thank you for your comments. All our double beds are standard doubles. Sorry you were unhappy with your bed and didn't mention your concerns on the first morning of your stay. We may have been able to make your stay more comfortable. Lovely to see you enjoyed your breakfasts and found the hotel staff friendly. "Fantastic customer service and lovely room"
I was very pleasantly surprised by our stay here from the minute we arrived. On booking in the receptionist was friendly and when I enquired about parking she checked the car park for us which is limited in size and was full, but also informed us that where we were parked would have no charge until 8am Monday morning, as we had arrived on a Saturday evening this was great. The receptionist then escorted us to our room and checked that our room cards had activated. As it was so hot they had set up a fan in our room so that it would be cool when we arrived, which was very much appreciated. The room was large with a seating area, a good sized television and all the little extras you could want, even a little sewing kit as well as toiletries. When my husband was carrying in our luggage, the chef was on a break and offered to help carry the bags up. Although he could manage them himself we felt just the offer was showing the staff's commitment to going the extra mile for their customers. The bed was extremely comfortable and the room spotlessly clean. Dear Sue G Thank you for taking the time to rate the Wessex Royale Hotel so highly. Lovely to see you enjoyed our 'home from home comforts' and found the hotel staff friendly and helpful. We look forward to giving you a warm welcome on your return visit. "Great Hotel with good location and air-conditioning"
Dear daviddyr Thank you for your lovely comments. We look forward to giving you a warm welcome on your next visit. Myself and my partner have just got back from an overnight stay (time away before baby no 2 arrives) at the Wessex Royal and we are both really pleased we choose this hotel. Located just a 10 minute walk from the train station it is really easy to find. When we arrived, the lady on reception (Linda I believe) was busy checking in another couple but acknowledged us straightaway and told us she wouldn't be long. We waited in the bar/ lobby area which was lovely and clean and had plenty of comfy seating and complimentary newspapers, TV and information about the area to look at whilst we waited. Upon check in, Linda greeted us warmly and asked about our plans whilst we visited etc which was nice. She also noted that I was quite heavily pregnant and advised that the room we had been assigned was on the 3rd floor might be a struggle for me as there was no lift and the room would be quite warm. She then tried her best to find us a more suitable room (which seemed to be no trouble for her) which she did on the second floor. Once we were all checked in she showed us to our room (which was a nice personable touch) and made sure that we were familiar with all of the facilities on the way (breakfast,dining rooms and times), and in the room- such as the fan, TV, telephone etc. The room itself was lovely, spotlessly clean and had everything we needed. As it was a family room, everything was made up (as it should be) for 3 people - even though we didn't need it in this case. Breakfast the next day was really nice. There was plenty of continental options to help ourselves with, as well as juices, teas and coffees and a nice variety of hot breakfast to choose from which we weren't kept waiting long for once ordered. All in all we were really impressed with this hotel (having both worked in the hotel industry for quite a few years, we do have certain expectations when visiting other hotels). The only slight let down was the receptionist on check out. Although she was on the phone when we came to check out, when she became available she didn't greet us with a hello, or even really look at us, she just said 'that's all fine' and basically waved us on our way without asking how our stay was etc. she wasn't particularly rude or unpleasant, but a little more acknowledgement would have been nice considering it was quiet at the time of check out. The only other mention is the night porter, who was friendly and accommodating in the evening when serving us drinks, and when we asked for extra milk and coffee the next morning. If you want a simple but pleasant hotel for a short stay in a nice town, I would really recommend staying here. Dear rufusfan Thank you for all your lovely comments. Great to see you were able to enjoy all our 'home from home' comforts. Good luck with the birth of baby no 2 and we look forward to seeing you again. A nice pleasant hotel, friendly staff. I had the honeymoon suite which was really nice. Lovely and clean and comfortable four poster bed. Jacuzzi in room. What more could I want. Dinner was nice too. There's a choice of eating in the restaurant or in the main area. Breakfast lovely too and accommodating. The waitress made me feel at home and offered me something suitable to meet my diet. Smoked salmon was delicious. Nice little village too to walk around. Car park around the back of the hotel, which can get a bit full sometimes, but plenty of parking elsewhere if required. Dear Andrewmitchell69 Thank you for your lovely. Great to see you enjoyed our 'home from home' comforts. We look forward to seeing you again. We stayed here for two nights in a Courtyard Room. We were very pleasantly surprised how lovely it was after some of the negative comments we read on Trip Adviser. The best part of this hotel is the staff. Everyone we came into contact with was friendly, helpful and seemed genuinely happy to be working there. They were all local too which was a bonus when asking for recommendations. The room was spacious and clean and although in the Courtyard there was no late night noise from the car park or other guests. The bed was very comfortable and the tea, coffee and biscuits were good quality. A complimentary newspaper delivered to the room was a bonus. We hadn't booked breakfast but decided to try it on our first morning as it was raining and it was delicious. Excellent value for money (£11.95) with a great choice and cooked to order. The pancakes were especially good. We also had breakfast here the next morning as we had enjoyed it so much. The only negative was the small car park but that is not something they really have any control over as there is no room to extend it. This hotel is in a central location for restaurants in Dorchester and there are many great places to visit nearby. Dear Lettyharri Thank you for your lovely comments. Lovely to see you enjoyed our 'home from home comforts. We look forward to seeing you again. 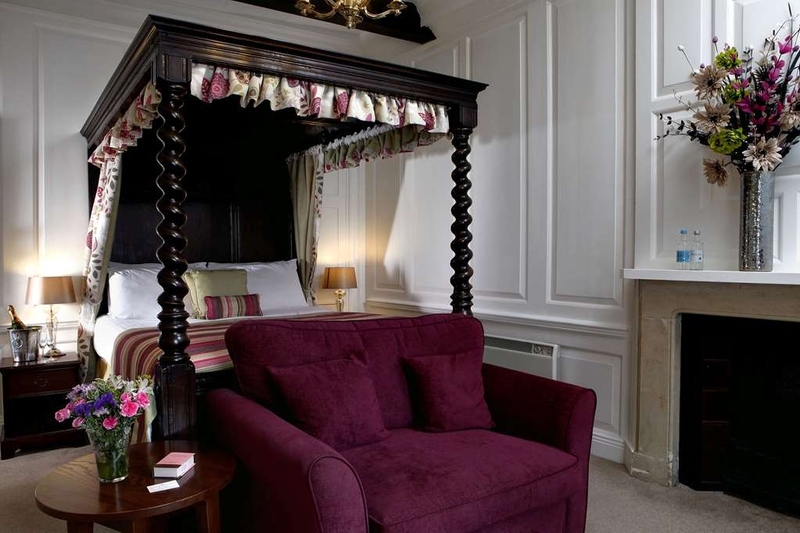 Very comfortable stay - Fantastic room (112) with a four poster bed, very quiet and relaxing. Breakfast service very efficient, and fantastic quality. Only criticism is the very slow wi-fi internet connection. Dear Albia-Newton Thank you for rating the Wessex Royale Hotel so highly. Your lovely comments are appreciated and we look forward to seeing you again. Dear bobc19442015 Thank you for taking the time to rate the Wessex Royale Hotel. Sorry you were not happy with your meal. Your comments have been noted. Lovely to see you found the bedrooms clean and comfortable. "If you enjoy good food.....stay here!" A warm welcome and comfortable room awaited us. We ate in the restaurant on both evenings of our stay as the food was so good. A wide choice and it was nice to chat to the chef James and chat about the menu and compliment him on the food. I especially liked the beetroot, goats curd cheese and caramelised pecan nut starter with which was delicious. The cooked breakfast was also a treat. The staff we met were all friendly and helpful and we'd definitely stay again for a short break. Dear sbrady120 Thank you for your lovely comments. We look forward to giving you a warm welcome on your next visit. Stayed 2 nights here in a superior room. Very comfy bed, plenty of space and a good bathroom (shower over bath not separate). It was a bit warm and the window wouldn't open (presumably for safety reasons as it was at floor level). Breakfast was not bad. The buffet part was a bit limited but there were several choices for cooked breakfast. The staff were all excellent - friendly, welcoming, efficient and helpful. This applied to all the staff we had contact with so Receptionists, breakfast staff, bar staff. We would stay again if in the area. Dear emtoe23 Thank you for your lovely comments. We look forward to giving you a warm welcome on your next visit. "Excellent centrally located hotel with delicious dinner. " Dear Lawson2504 Thank you for taking the time to rate the Wessex Royale Hotel so highly. Lovely to see you enjoyed all the 'home from home' comforts the hotel has to offer. We look forward to seeing you again. On arrival we were greeted by very friendly staff. Parking is limited but the local car park is free after 6pm until 8am. The room was very clean and well appointed. We would recommend this hotel for any occasion. Dear Dozysod Thank you for your lovely comments and your recommendation. We look forward to seeing you again. Stayed in Morgan Yeatman Suite good choice, lovely size room with small separate sitting area. Quiet and well appointed. Heating regulated in each room rather than the whole hotel which makes controlling heating very easy especially in the recent chilly weather. Cooked breakfast good and choice of cereals but prepared fresh fruit choice limited. Young waiting staff at breakfast pleasant but need training in service lots of wasted journeys and not keeping up with guests needs if receptionist did not help would have been chaos. Need an experience hand in charge. This said we enjoyed our stay. Dear Claire R Thank you for rating the Wessex Royale Hotel so highly. Your comments about breakfast have been noted. So glad you enjoyed your stay and we look forward to giving you a warm welcome on your next visit. Being positive the hotel has comfortable rooms, friendly staff and a good location. However the restaurant evening menu is disappointing and has been better in the past The hotel car park is very small and it can be difficult to get an average car in and out. You can make on Princes St for 50p or free on the High West St (18:00 - 08:00) if you are lucky. Dear Peter H Thank you for taking the time to rate the Wessex Royale Hotel. Sorry you found the restaurant evening menu disappointing. We have recently launched a new restaurant menu. Lovely to see you found your hotel room comfortable and hotel staff friendly. Had arranged for an informal business meeting at the Wessex Royal yesterday. Hotel looks pretty average from the outside, parking was a little hectic but we managed to find a space just outside which was pay and display. Once inside, the comfortable lounge area was quite welcoming. We hadn't booked a meeting room but was able to sit in the lounge, order refreshments and chat with our customers in a fairly professional manner without being overheard. Bar staff weren't particularly welcoming. The gent that took the order for our pots of tea was pretty grumpy looking, didn't engage in any kind of conversation, which was a bit disappointing. The duty manager was very chatty and pleasant though. A little disorganised when it came to paying the bill (waited at the bar forever and then was ushered to reception, and then back to the bar. Could have been better). Overall, ok. Convenient meeting place. Bathrooms were very clean (couldn't not visit, as this is always my deciding factor when visiting anywhere! Lol....definitely an 8/10! )....other than that, ok. Would visit again. Dear Rachel1837 Thank you for your feedback. Lovely to see you found the Wessex Royale Hotel's lounge a convenient meeting place and that you would visit again. "Used to be fantastic food. It's now terrible"
Never again. If you're a return customer you've been warned. We used to visit on the regular, but now we won't ever been visiting again. What's happened to this place!! Utter chaos round reception too. Over heard people next to us saying they weren't happy with the place either. I am sorry you have had a bad experience with us. We feel we try hard to make all our guest's experience a good one. We have sent you a direct message asking for the dates of your stay and the issues you encountered so that we can look in to it further for you. We are all very approachable here and if you had told us of any issues during your stay, we would have liked to have had the opportunity to address them at the time rather than after the event. An interesting place. Overall a bit pricey for what you get. The rooms are ok but small and not the best quality although very clean. All in all the general feel is not quite there. The staff try hard but for example the evening porter wasn't sure how to work the bar. The corridors were noisy as the floors creaked badly. The room to room noise was not good. Everyone working there works hard but it just misses the mark for the money. Tight car park and limited spaces so you won't get in for sure and it's on a first come first served basis. Nicely positioned to see the town centre. Dear Kazza2609 Thank your for taking the time to rate the Wessex Royale Hotel. Your comments about the rooms and corridors have been noted. We do have limited free parking which is unusual for a town centre Georgian hotel, there are car parks close by. Lovely stay for the two of us! Excellent bedroom with a huge comfy super king bed! They even gave us free bottler water and Dorchester chocolates. Great staff and nice bar area. Beautiful building and great atmosphere! Will be coming back! Dear Hayliella Thank you for rating the Wessex Royale Hotel so highly. Good to see you enjoyed our 'home from home' comforts and we look forward to giving you a warm welcome on your next visit. Stayed one night had a really good room overlooking the small car park. You can walk all over town from hotel so very central. Lovely old building with lots of character. Breakfast was quite chaotic with dirty tables in restaurant so we sat in the lounge area. Everyone that was in there ended up with the wrong breakfast. Service very slow we asked for more toast and they forgot that. Twice went for orange juice and the jug was empty. When somebody told reception that it was chaotic was told it was because they only had one chef no excuse service should have been better. Dear chrisb1233 Thank you for taking the time to rate the Wessex Royale Hotel. Sorry you were not happy with the breakfast service. It was very busy and guests did have to wait. I noticed one table had been waiting a long time, mentioned it when they were checking out and it was lovely to be told they understood and the breakfast was worth the wait as it was so nice. "A Great Town Hotel "
This hotel has a great central town location. Everything from bars, restaurants and shops are within close walking distance. It's easy to find on a Main Street. The building has an interesting character inside. It feels warm and welcoming with exceptionally friendly and attentive staff. Being given your room key and personally being taken to your room is a nice touch from yesteryear. The carpets and decor are to a high standard throughout. Bed linen and towels feel far more expensive than the norm. The shower room was modern, to a high spec and very invigorating. All in all a great town hotel which I certainly recommend. Dear Martynp2 Thank you for your fantastic review. We look forward to giving you a warm welcome on your next visit. "Lovely hotel with an old fashioned feel to it but modern facillities"
I had a lovely room with a wonderful roomy double person power shower and a well lit bathroom. Tasteful decor, larger than normal Tv. Bottled water in room, one still, one mineral. Breakfast was great, with smoked salmon scrambled eggs eggs benedict on menu as well as usual choices. Good central position for shopping in Dorchester... only downside I can think of is that it has a tiny car park but I managed to park there 3 out of the 4 nights. Staff very helpful and posted my phone charger which I had forgotten very quickly to me. Dear Sally Thank you for your lovely comments. So glad you enjoyed your stay, we look forward to seeing you again. 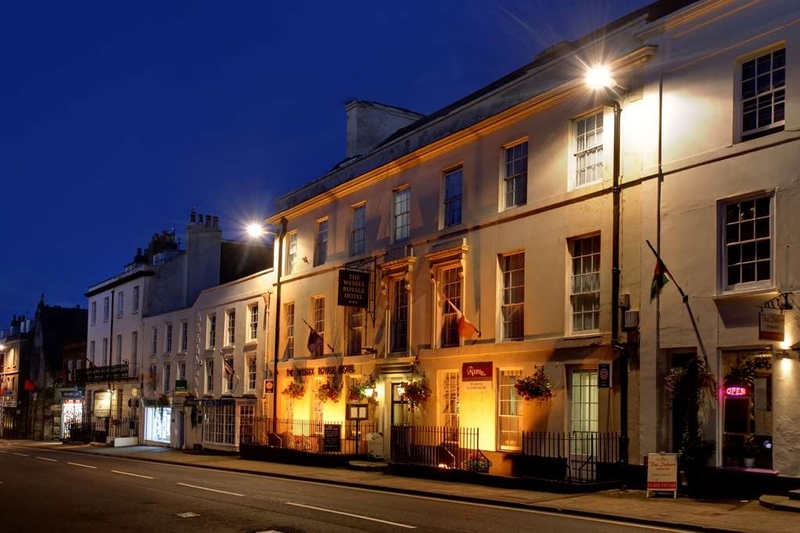 "Friendly hotel in town centre"
Really friendly and accommodating staff who go that extra mile to please. The rooms are a bit creaky, but perfectly adequate and the breakfast is freshly cooked. Not much car parking, but the central location is great. Dear lhscontrol Thank you for your lovely comments. We look forward to seeing you again. 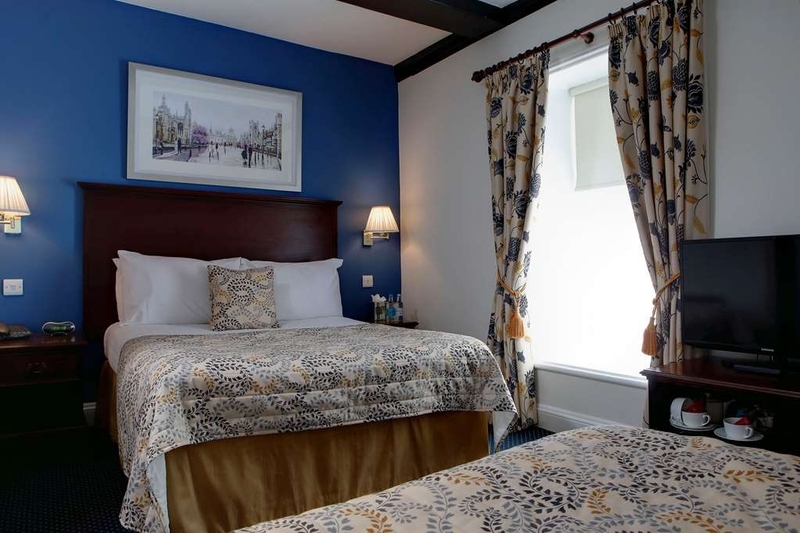 "Lovely quaint hotel Would recommend "
Dear Clarebeahodgson Thank you for rating the Wessex Royale Hotel so highly and for your lovely comments. We look forward to giving you a warm welcome on your next visit. Very friendly staff and allowed us to check in early to be able to dump bags before the wedding. Really good breakfast with lots of variety ... needed!! Had a really good size room and excellent bathroom with lovely bath too. Excellent position for a night out and in walk distance to many bars and restaurants. Would stay here agin. Dear Kate P Thank you for taking the time to rate the Wessex Royale Hotel so highly. We look forward to seeing you again. I stayed here one night on business. As we approached reception the welcome was very friendly. The staff went out of there way to be helpful, my companion wanted a room at the back because of the traffic, this was organised with no fuss.The room was very comfortable, it was not a big room but there was sufficient space. My room was at the front and it is noisy with traffic especially in the morning. I received tea / coffee cookies, water and truffles complementary.The bathroom was small but lovely it looked like it had just been refurbished. The toiletries were also complementary. The bed was comfortable but the pillows were not the best. We had a bar meal which was very good and the priced were very good. The desert was superb.breakfast was very good and they do cater for glutton free. I would return. Dear Ester913 Thank you for taking the time to rate the Wessex Royale Hotel so highly. We look forward to seeing you again. "Really nice Hotel in centre of town"
The Hotel is in the centre of town with very nice rooms an excellent restaurant and helpful pleasant staff. We had a Four Poster Bed in our room which was a first for us. There was plenty of room for us even had two television sets. We enjoyed it immensely and would go again. We were able to explore Dorchester easily from the hotel. Dear Malcolm M Thank you for your lovely comments. We look forward to giving you a warm welcome on your next visit. Positive's, breakfast excellent, cooked perfectly to order, bar food good, reception helpful. Negative's holes in bed sheet and towel, corrected when reported. Smell of cigarette smoke on first floor landing. Room noise level high, do not expect to sleep beyond 06.30, no double glazing to keep out noise. Car park very small and tight spaces. Workmen in the hotel during our stay, we were not warned of this. Dear John G Thank you for your comments. We have rooms at the back of the hotel which are away from traffic noise, we have had to wake up guests who have missed breakfast and our check out time! Lovely to see you found the reception staff helpful and you enjoyed your breakfast and bar food. "Best Western not at its best"
Dear Piddingoer Thank you for taking the time to rate the Wessex Royale Hotel. So sorry your stay wasn't right for you. We have noted your comments and will improve. 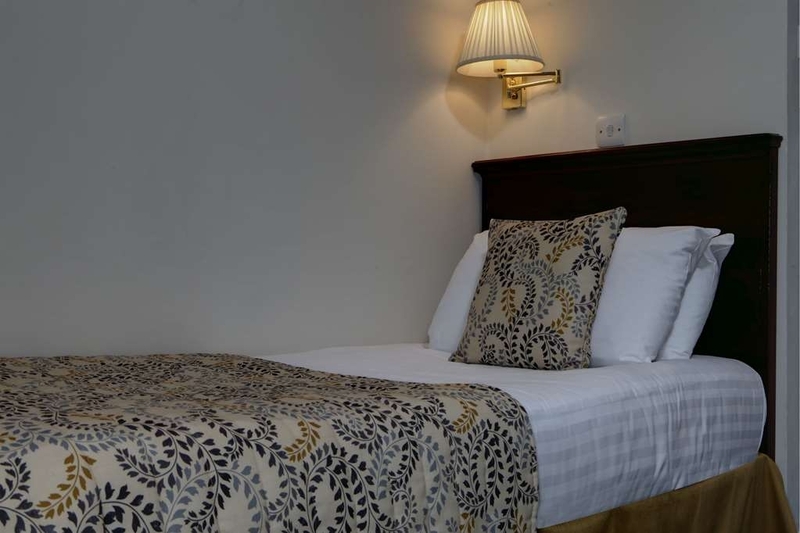 Beautifully refurbished hotel in a great location with modern facilities and friendly welcoming staff. Nothing was too much trouble. The food is superb. Would definitely recommend others to stay here and dine in the restaurant. Dear Linda B Thank you for rating the Wessex Royale Hotel so highly and for your recommendation. We look forward to giving you a warm welcome on your next visit. Overall very good, bathroom was nice and clean, bed was comfy. Service was very good. One slight issue is the car park is small with only about 8 spaces, it is tight if you have a large vehicle... Food in the bar was nice and tasty with nice pleasant service. Well worth a visit. Road side rooms can be a little noisy but it soon dies down after dark. Dear Simon n Thank you for your lovely comments. We look forward to seeing you again. "Restricted headroom poor service "
Booked a weekend. Nice hotel but given a sloping ceiling room. Bent double to get around one side of bed. Reception staff somewhat distant. Busy on a wedding and other guests forgotten. One of the most unfriendly places I've stayed. Food excellent and waiter brilliant. Spoiled my stay. Contacted best Western but no reply. Contacted hotel and half hearted reply. Won't stay here again. Dear Sir, All points raised above were answered in your email directly to us on Sunday and were replied to promptly. We are sorry you still felt the need to give such a poor review especially as you have commented on how excellent our food and waiter service was. We felt the matter had been resolved by your email replies on Sunday. We spent 1 night at the hotel. The room was fine, clean and comfortable. The breakfast enjoyable and served by pleasant staff. I can recommend this hotel and we will use it again as we will be coming to Dorchester monthly for a while. Dear jonb12340 Thank you for taking the time to rate the Wessex Royale Hotel so highly. We look forward to giving you a warm welcome on your next visit. "Friendly but shabby and not good VFM"
Stayed for 2 nights over weekend - a good base for Dorchester and staff friendly and welcoming, but unfortunately the room seemed to be done to the minimum standard. The cleaning was not up to scratch - when we arrived there were used tissues down beside one of the beds, bathroom was a little scummy, room was dusty and the cups and saucers were dirty. I'd also expected some toiletries in the bathroom, but the shower only had an empty shower gel holder. Neither the rooms nor the hotel have a safe deposit box either, which I thought was odd. At over £100 for a Saturday night we were not impressed! I also phoned up the day before to check that they had a car park and spoke to a lovely man who gave me directions - although he didn't mention how small the car park was (only about 8 cars can fit), and so we had to use on-street parking which is pay & display Mon-Sat 8am-6pm. Dear Emily S Thank you for taking the time to rate the Wessex Royale Hotel. So sorry you were unhappy with your room. Your comments about the cleanliness of your room is so unusual, we normally receive positive comments about how clean the hotel is. Good to see you found the hotel staff to be friendly. We stayed at the Wessex royale hotel for two nights with my brother and sister and family. We were very lucky that we managed to get a parking space in the back of the hotel,there are only limited spaces. On arrival we were greeted by two lovely ladies at the front desk. My brother had already checked in. Room 100. We were given room 200 as asked for a twin. One of the ladies showed us to our room and let us view it 1st,which I thought was a nice touch. Although it looked abit old fashion it was clean,tidy and had little extras like bottled water,cotton buds,sewing kit,soap,shower cap and more. My sister had room 102. Both my siblings had complaints about their room but I have to say I didn't,which is really unusual for me. The beds were comfy. The room was warm,quiet and apart from my husband snoring im sure I would have had a nice sleep. We went down for breakfast at 8.30. If u are expecting a lie in,don't,breakfast ends at 9am during the week. There were a lovely assortment of things for breakfast including yoghurt,melon,pineapple,cereal,croissant and a hot menu. I ordered mushrooms,toms,beans and scrambled egg. It looked lovely when it arrived but I have to say although it tasted nice it was only luke warm. I do like hot food but unfortunately it wasn't. The 2nd morning was the same too,Luke warm and my sisters bacon was so hard she couldn't cut it. We also had toast. The girls that served breakfast were lovely and couldn't do enough for you. I really enjoyed my stay at the Wessex and we will definitely be going back. Dear Stanley1108 Thank you for your lovely comments and for rating the Wessex Royale Hotel so highly. We look forward to giving you a warm welcome on your next visit. "Almost central for exploring wonderful Dorchester"
En route to a later destination my wife and I decided to stop over for the weekend and use Dorchester as a base for some sightseeing. Well, the weekend visit has persuaded us that we must return as Dorchester has got so much to offer and the Wessex Royale must be the hotel to stay. On arrival we were made to feel welcome. Our room was comfortable and extremely clean with the bathroom cosy but well appointed. It seems that the bathroom had recently undergone refurbishment. The room was air conditioned and the bed comfortable which together gave us the best nights sleep that we have had for quite some time. Sightseeing meant that our evening meals were taken outside of the hotel but the breakfasts were quite well dome with the usual choices of cereal, fruit, continental and full English (with veggie option). Parking is a problem with spaces limited to around 9 but there is public parking front and rear. This is the consequence of historic towns I am afraid. The staff will do their best to accommodate you though. As I say, it is good enough to warrant a later stay for a full weeks exploration of Dorchester and the immediate area. Dear NodNodPilot Thank you for taking the time to rate the Wessex Royale Hotel so highly. So glad you enjoyed our 'home from home' comforts and we look forward to giving you a warm welcome on your next visit. The hotel was easy to find but parking is a major problem. Almost everything about the hotel was excellent. My only caveat was the food and drink. Drinks are London prices, the food was excellent but the evening meal was almost nouvelle cuisine, poor quality beef at a high price. This seemed to be the norm as most people ate out. That said, everything else was excellent. Dear Peter_and_Tina Thank you for taking the time to rate the Wessex Royale Hotel so highly. We have limited free parking on the premises with reasonably priced car parks close by. Over the weekend there is free car parking a few minutes walk away. Sorry you found the beef 'poor quality'. This is most unusual as we use locally sourced ingredients and our restaurant has recently been awarded an AA Rosette Award for culinary excellence, also a Taste of the West Gold Award. Great to see that overall your stay with us was very good. Stayed for one night last weekend. Stayed in a superior room. Was a large room, with a bathroom with shower over bath. The hotel is situated on a busy main road and as our room was facing the road there was a lot of traffic noise. Having the window open at night wasn't an option, which was a shame as the room didn't have air con. The TV reception wasn't all that great, but having said that the hotel is right in town centre so plenty to do apart from watch TV. Large bed which was very comfortable and welcoming staff who showed you to your room was a nice touch. Would stay here again although would request a room away from the main road. Dear Greg89 Thank you for taking the time to rate the Wessex Royale Hotel so highly. We look forward to seeing you again. Book in was smooth and friendly following a pre-warned late check in at 2300hrs. The hotel has been recently refurbed to a high standard. Plus points: very friendly staff. Lovely room. Negatives: only on-street parking available, admittedly free overnight but payable from 0800 hrs and no lift despite being 3 floors. Many stairs! Dear FieldsofGold Thank you for taking the time to rate the Wessex Royale Hotel. We have limited free parking at the hotel, when full the other options are a local car park 2 minutes walk away, free overnight, pay a £1 for a car parking ticket when you park and this will take you to 10am the next morning, or the main road in front of the hotel (free overnight). Great to see the lovely comments about your room and the hotel staff. Went for celebratory dinner . Waited 10 mins to be offered a drink or menu. Eventually shown through to restaurant. Waitress gave us restaurant menu and asked if we also would like bar menu. We said we would but it did not arrive. We asked again and were given one. I ordered cheese board. The cheeses were past their best and smelt of ammonia and were runny. One cheese I ordered had been replaced with another without telling me. My husband had steak and chips and said that was ok. We were not impressed with the slow service or the food. When I explained I could not eat the cheese and was not happy that a completely different one had been substituted without telling me they did not charge me for the cheese- which I thought was fair. The card reader was not working so we paid by cash. We had had our wedding there the year before and were very happy with the food then, hence our return on our first wedding anniversary. Top rate Hotel in a great location, shopping, museums , a Roman Town House, Railway Station and great pubs all within a 10 min walk. 15 mins walk to Railway Station, a return ticket to Weymouth for less than a days car park. Dear Anthony S Thank you for rating the Wessex Royale Hotel so highly. We look forward to seeing you again. Friendly and very helpful lady on reception-Sun 11.9.16. Lovely room and bathroom but very creaky floorboards! Excellent location for main street for dinner. We only stayed one evening as we couldn't get that evening in our preferred hotel-Premier Inn but would have been happy to stay here all week if it had been a bit cheaper- compare to Prem Inn. Dear Diane S Thank you for your lovely comments. Good to see you received a warm and friendly welcome and you enjoyed our 'home from home' comforts. 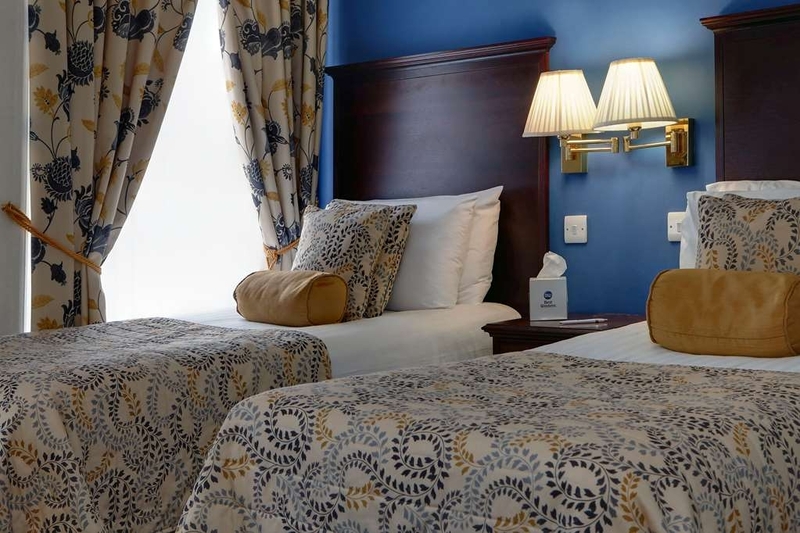 "Central Dorchester Hotel convenient to everything." My room was well laid out the bed was comfortable and the bathroom modern. Unfortunately the room was on the ground floor right next to a very busy can park. Thus I could not leave my window open on a hot day because of fumes, noise and possible theft. There are other rooms but I did not see them. Breakfast was fine although the service was uneven. Lunch was fine. The receptionist was very good, but she is leaving. My room was next to a storage room so there was a whole lot of noise from people going in and out of there. Dear m p Thank you for taking the time to rate the Wessex Royale Hotel so highly. Sorry you had a few concerns about your room. Lovely to see you found the hotel to be in a central location for Dorchester, convenient to everything. The hotel was nice although arriving late you do need to know what you are looking for. There is no sign saying Best Western so if you booked thru them you have to know this is called the Wessex Royale. Although free parking is advertised, if the carpark is full you will have to park elsewhere and be up bight and early to go and put money on the meter at 8am which is a pain. Breakfast finished at 930am which took us by surprise and we missed it.. There was no info in the room about breakfast times and no info was forthcoming at check in. Free wifi was also advertised but there did not seem to be a signal in our room . Having said this the room was comfortable enough. Dear FMSSlough Thank you for taking the time to rate the Wessex Royale Hotel. We do have limited free parking at the hotel, if you park in the street in front of the hotel, (free 6pm to 8am Monday to Saturday, free all day Sunday) to save getting up too early, buy a ticket for an hour (60p) after 6pm and this will take the expiry time to 9am the next morning. There is also free parking Friday 6pm to Monday 8am close to the hotel. Sorry you missed breakfast. Good to see you found your room comfortable. "Felt like Royalty at the Wessex!" Have been to this Hotel many a time over the years and we go back because we love the genuine empathy the staff have with any issues that may arise. The rooms are spotless, love the new upgrade in the bathroom, like the new key card system rather than carrying a large key fob around with us! Big thanks to Andrea on Reception and the General Manager Steve oh and Lofty for a smashing repair job on my new car. We have only just come back from our stay at the Wessex Royale and have already reserved a room for August 2017. 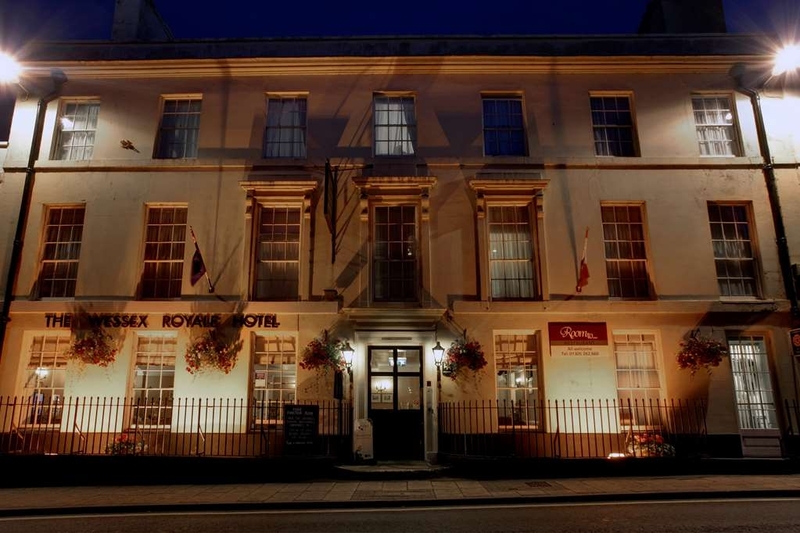 Again, if you want a hotel where the staff genuinely are there to help and be a listening ear, visit The Wessex Royale, we as a family can guarantee you wont be disappointed. Dear Diane T Thank you for taking the time to rate the Wessex Royale Hotel so highly and for your lovely comments about the hotel staff and accommodation. We look forward to seeing you again in 2017 - you're booked in! "Pleased to have stayed here." Sat Nav got us here and we found the small car park full in the afternoon. Local parking is cheap or free as is overnight street parking. Also large car park nearby. However, late afternoon we got into the hotel car park. No lift and we were third floor ... 45 stairs but Steve, the manager happily offered to take our bags up to our single rooms. Mine had a velux window but no problem. Ample storage for case, great bathroom recently refurbished, t.v., hairdryer, tea/coffee and great free Wifi (brilliant for a light sleeper World Radio listener). Bed very comfortable. Back of hotel very quiet... Breakfast very good with happy, helpful waiter. Restaurant has great reviews but there are several other venues close by. We did have lunch in the lounge bar which was good and a nice place to sit. If you have disability needs, the hotel has a couple of ground floor rooms so best to phone direct and they will go out of their way to accommodate - Steve told us that they are hoping to extend this facility. Checking out was smooth and the manager helpful. Would definitely recommend for those not put off by stairs. This is a very good Great Best Western with a very proactive manager..
Dear Wiltshire-feet Thank you for your lovely comments and comprehensive review. We look forward to giving you a warm welcome on your next visit. Dear Oxymoron50 Thank you for your lovely comments and recommendation. When guests book direct with us either through our website or telephone we can organise their booking to suit them (subject to availability). Great to read you found the Wessex Royale Hotel staff friendly and helpful. We look forward to seeing you again. "... you are needed somewhere special!" Although this is a cracking venue, I put an 'average' on this review for verily, it was just very average. OK, we were on a high for personal reasons & nothing could dampen our spirits, but nobody picked up on how euphoric we were & why would they? We think they should have. You think they needed to ask? This establishment is very lovely but very ordinary. So why would I even bother to write a review then? Well, simply because we both have worked in this environment at a very decent level. We felt that at every step, the staff we dealt with were, although polite & kind, not really trained properly. This excludes the wonderful receptionist when we checked out the very next morning, I have to record. Ordering a large gin & tonic in the evening was a chore & the same person was at breakfast & that waitress... not politically correct but she was female... again struggled with the simple task (to us!) of at least letting us start our cereals before asking what we required for the main course. Pedantic? Not a bit of it as we hadn't even poured milk on the said dish. As it happened, the kippers we eventually had were world class & to cry for. Gosh... really don't want to be negative but where was a manager, in a tie, confident, ready to push staff & reassure guests? Of course, one doesn't have to these days but if they don't really care, as the place was full due to a local festival, then why should their staff? Thank you to the beautiful, charming morning receptionist. You made our special night worth the money & look around you girl... you are needed somewhere special! Dear Xanthe C Thank you for your interesting comments, we will take note and improve. Sorry your stay at the Wessex Royale Hotel was 'average'. So glad you enjoyed your breakfast kippers. We are very proud of our recent food awards, the AA Rosette award for culinary excellence and the Taste of the West gold award. Had a really nice stay here, It was as good as expected, breakfast excellent, cheese board divine! But really really could do with some local beer in the bar. Parking available but tight, but that is clear before we went. Our room was clean and cosy, overlooking the car park / courtyard so nice and quiet. Staff friendly and efficient. Dear Mark P Thank you for taking the time to rate the Wessex Royale Hotel so highly. Lovely to see you enjoyed our 'home from home' comforts and you found the staff to be friendly and efficient. We look forward to giving you a warm welcome on your next visit. Lovely last-minute stay here. Room was spacious, clean and comfortable. Nice and quiet too. Staff at the hotel all extra-friendly and informative. Nice location to be able to explore deepest darkest Dorset. Dear ShaneOnHols Thank you for your lovely comments and for rating the Wessex Royale Hotel so highly. We look forward to seeing you again. "Three enjoyable days in Dorchester"
The Wessex Royale is a very comfortable hotel with a good restaurant. We had a very nice meal on our first evening but were very disappointed with the bar which is hardly a bar at all and has no local ales. Our room was excellent and we slept very well apart from the last night when "someone" below us in the bar area seemed to be dragging furniture around at 4am. No-one at reception knew anything - perhaps there is a very noisy ghost??!! Car parking is very bad but there is a pay and display carpark nearby where you can purchase tickets to park for 24hr at a time. Staff were great. Breakfast was freshly cooked to order which in my opinion is much nicer than the dried out breakfast buffet you often encounter these days!! Dear Wenjaye Thank you for taking the time to rate the Wessex Royale Hotel. So glad you found your room excellent and you enjoyed your meals in our award winning restaurant. We look forward to giving you a warm welcome on your next visit. We had lovely big, room with four poster bed and comfy settee.En suite was spacious. Bar food was great value and tasty. Staff were efficient and helpful. The room did overlook a street so it was a bit noisy but that's what you get with a hotel in the middle of town. The downsides were that the car park was small and it's first come first served. Having said that, we were able to get a place each time we needed one during our 3 night stay. I would have found it tricky to get out of too but my husband managed fine. Some better bed side lamps would have been nice too. I like to read in bed, but the ones in our room were more for ornament. "Good hotel with excellent food but the room was too small"
In summary: We'd booked in for 3 nights and were allocated room 108. The hotel is good - clean, comfortable friendly and helpful staff and the food is a "must try it" experience. It was the best food we had in Dorchester during our stay. The only issue we had is room 108 is the smallest hotel double room (and the smallest bathroom) I've ever experienced. I would have readily given a 5 star rating for this hotel if it wasn't for the room. I'd happily stay again if I was allocated a normal sized room. First impressions: Reception was highly professional and we were made to feel welcome from the first minute. Good to see a smiling happy face! We'd arrived early but this wasn't a problem. Parking is an issue with only 8 or 9 spaces. However there is a public car park very very close to the hotel which we had to use one night (free 6pm - 8am, £4 for all day parking but if you park after 6pm £2.60 will see you through to 11am) After reading some reports on TripAdvisor I did check the shower but there really wasn't a problem with it. Room 108 really isn't a double room imo. Its too small to have two chairs in it so not a place you can relax in. Food: Dinner was very, very good and would highly recommend eating here. We had soused mackerel with rhubarb, liver parfait with duck slices, Lamb rump with lambs liver peas and broad beans (absolutely delicious!) and wild mushroom agnolotti. Breakfast was also a good experience. A choice of 4 dishes + the usual cereal fruit Coissant etc. The full English is cooked to order and again is of high quality and taste. General: I was going to complain about lack of staff around during the day when we had to walk around looking for someone to serve us a drink but I had not noticed there is a bell apparently at the side of the bar to ring for service. I need to pay more attention :-) I did discuss my review with the receptionist on leaving. Again a very professional person. Full credit to all the staff who helped make the stay enjoyable. "Honest and reliable 3 stars hotel"
Room was ok,with nice comfortable bed,sink in the bathroom a bit small though. Staff was professional and fair,even if not too smiley. Good breakfast (pancakes highly recommended). Wi-Fi properly working. Dear Niccolo C Thank you for taking the time to rate the Wessex Royale Hotel. Good to see you enjoyed your breakfast and the Wi-Fi worked well. Having driven from St Austell on a holiday Saturday we decided to stop early to find a place for the night. We were lucky to get the last room, not the cheapest, but beggars can't be choosers. The room was sufficient but a bit over furnished, leaving not much space to move around. The bed was comfortable. Parking in their car park was tight having to move cars to get out. Breakfast was a disaster because the waiter or chef lost our order, when an enquiry was made and our breakfast delivered over half an hour was lost. Dear Roger T Thank you for taking the time to rate the Wessex Royale Hotel. Sorry there was a mishap at breakfast. We do have limited free parking but there is free parking close by at weekends.